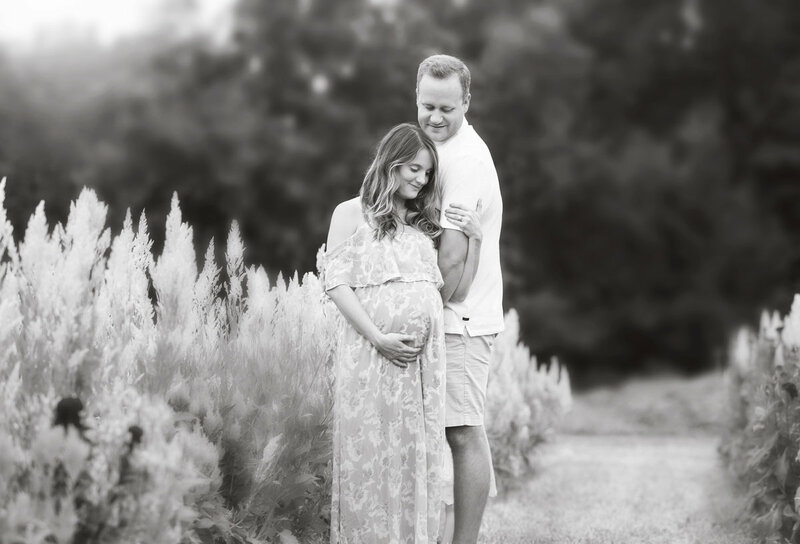 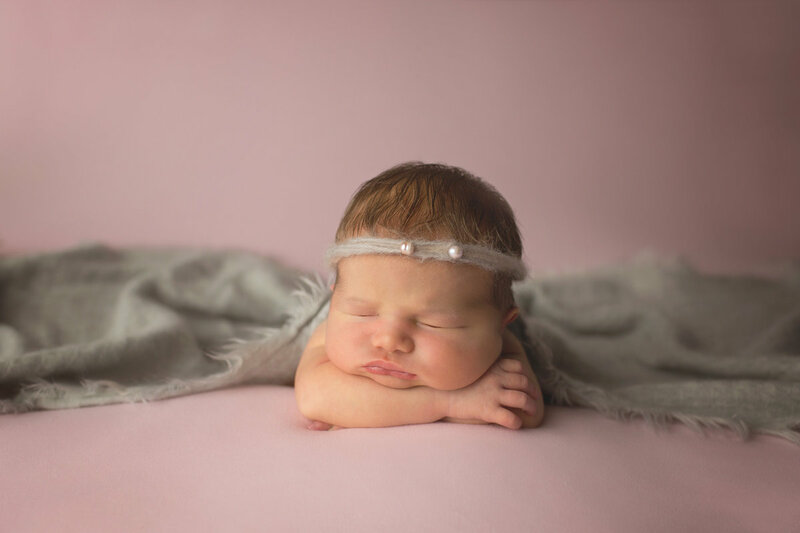 Once you book your newborn session you will receive a welcome guide, questionnaire and a link to a complimentary online styling service. 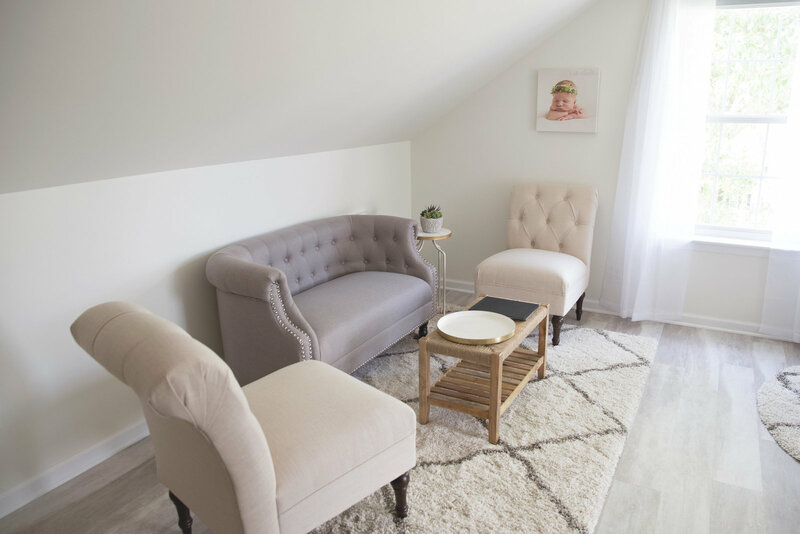 I will set up a client consultation phone call with you to review the package and go over any questions you have about the session. 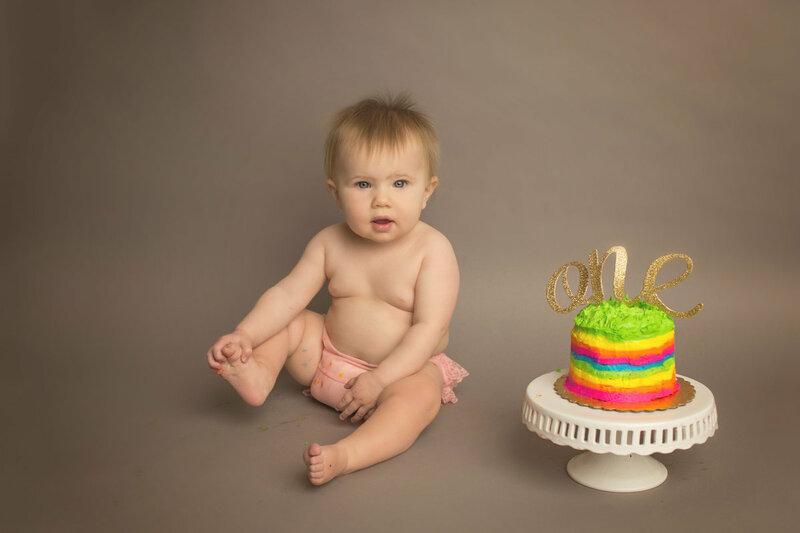 To me, a photographer's job isn't complete until you've printed those photos! 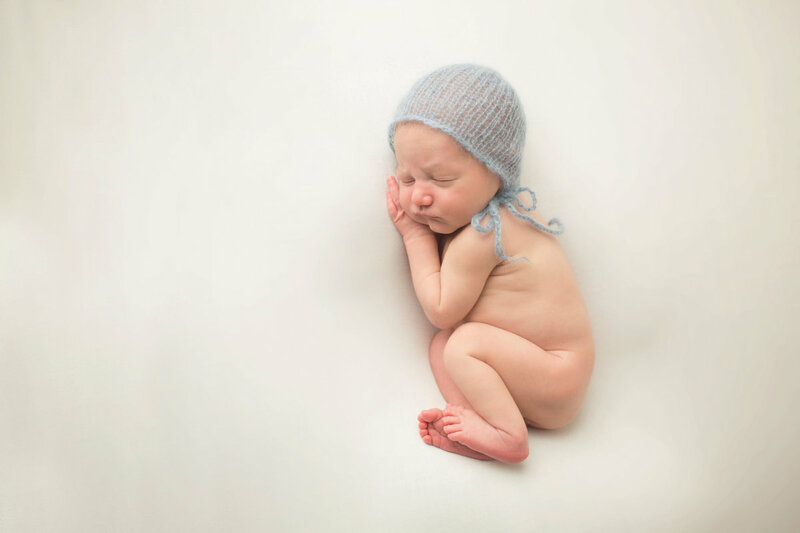 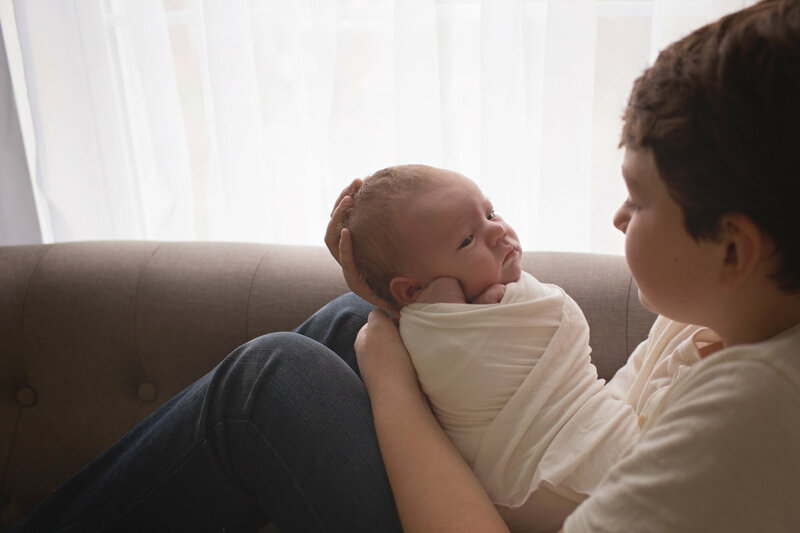 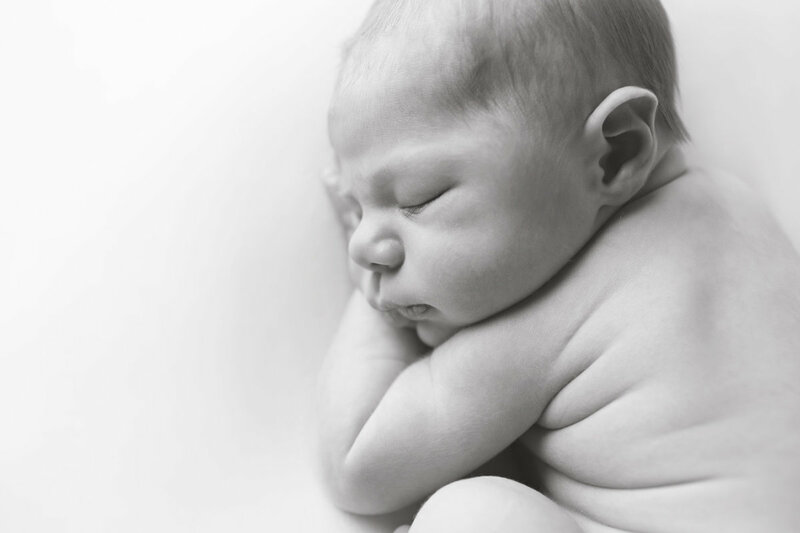 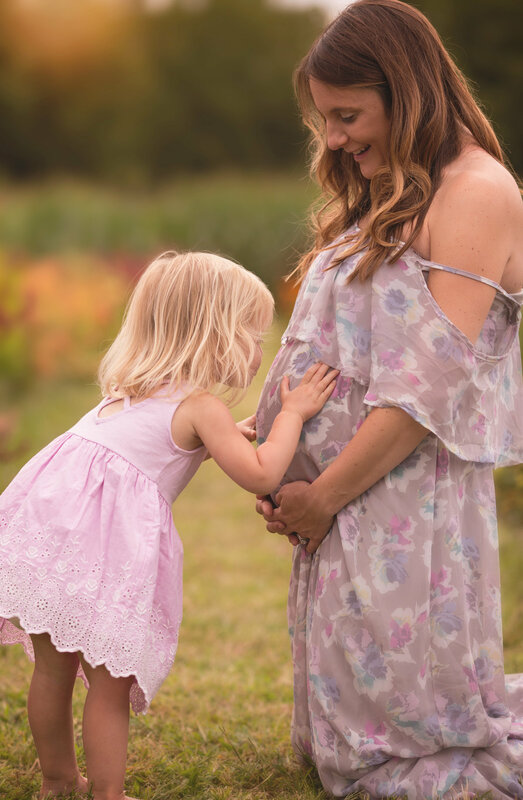 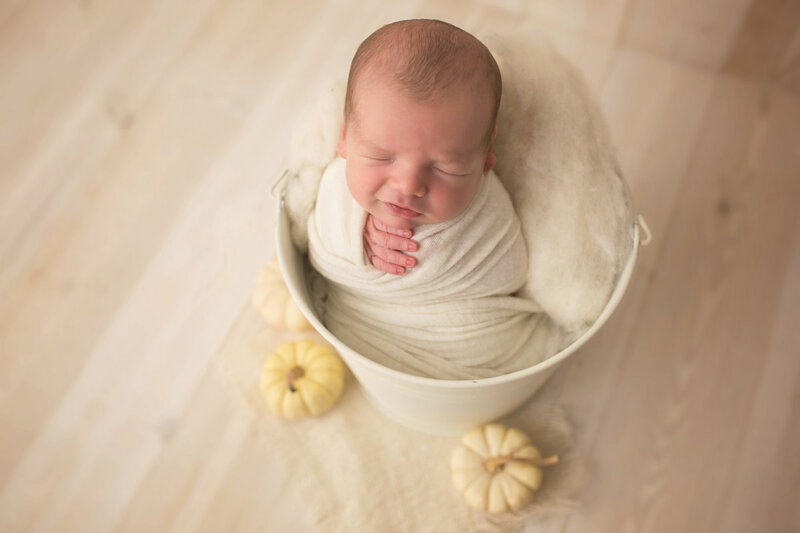 That way we can schedule the newborn session in the first 10 days of baby's arrival. 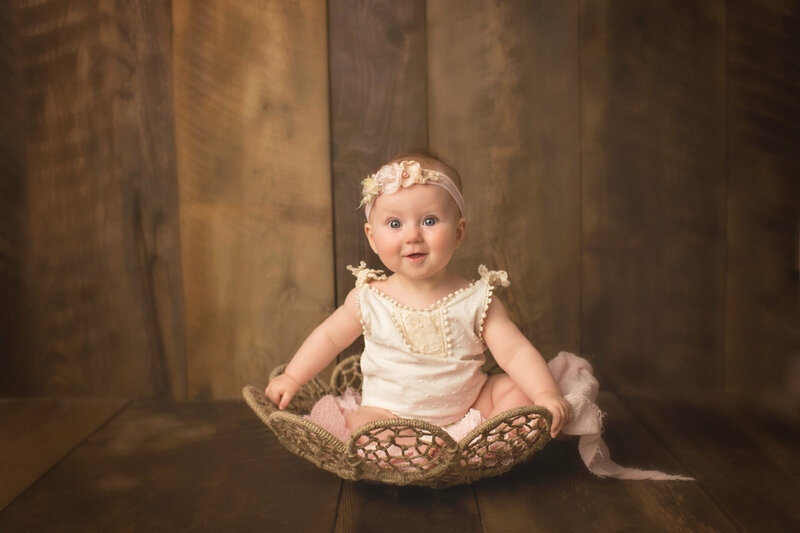 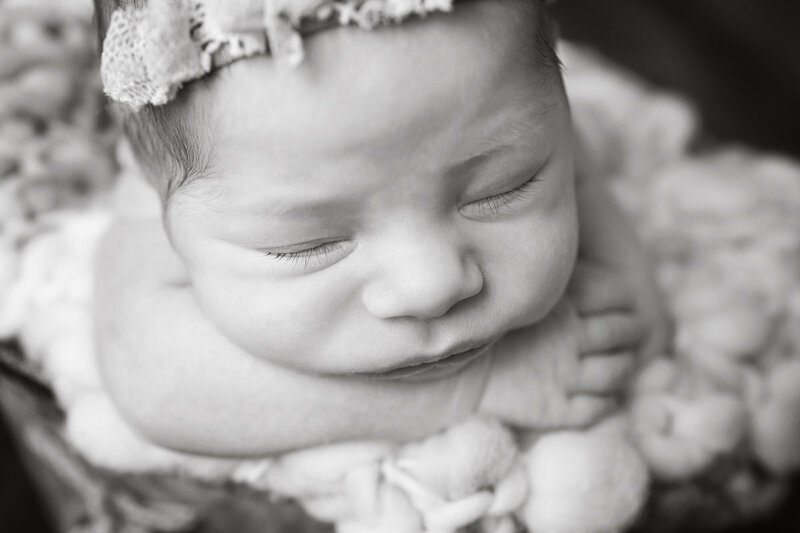 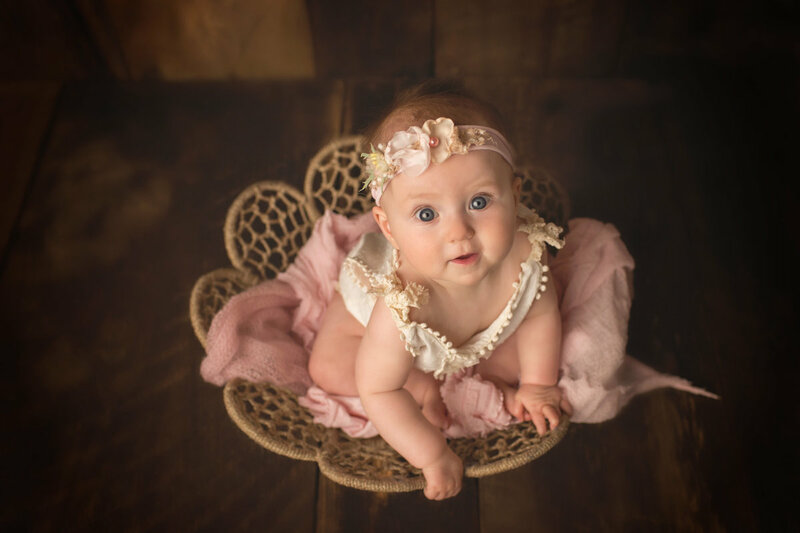 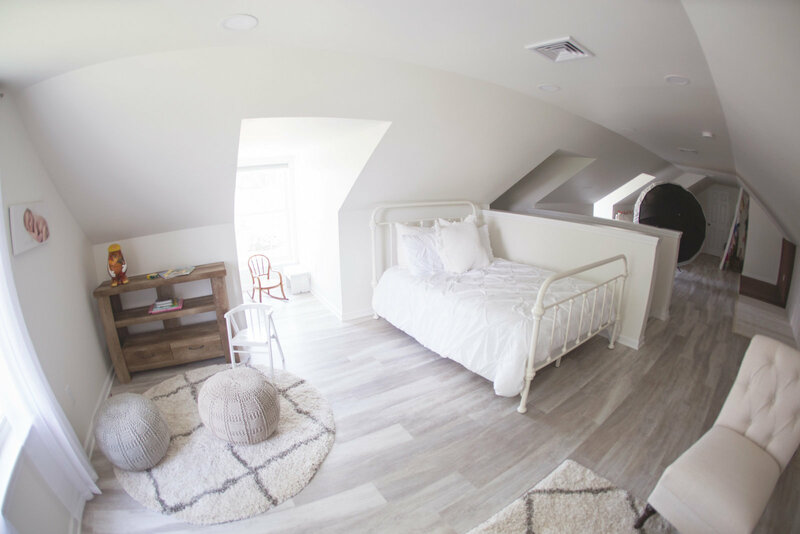 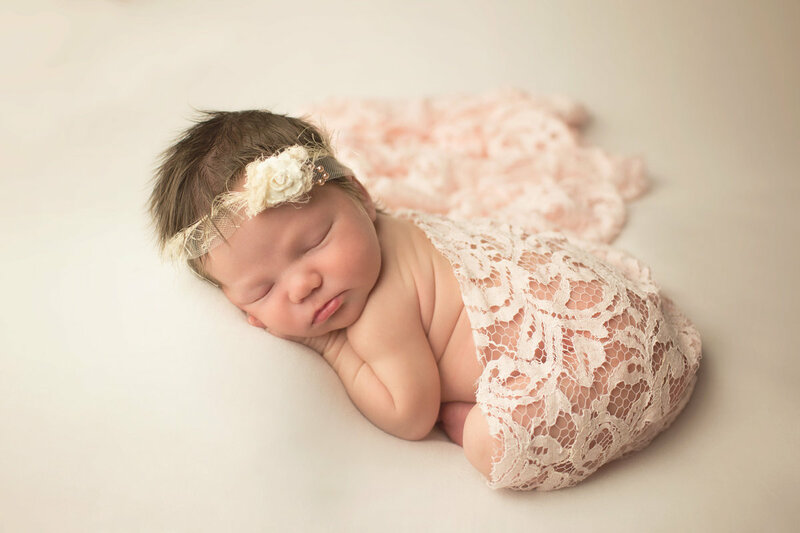 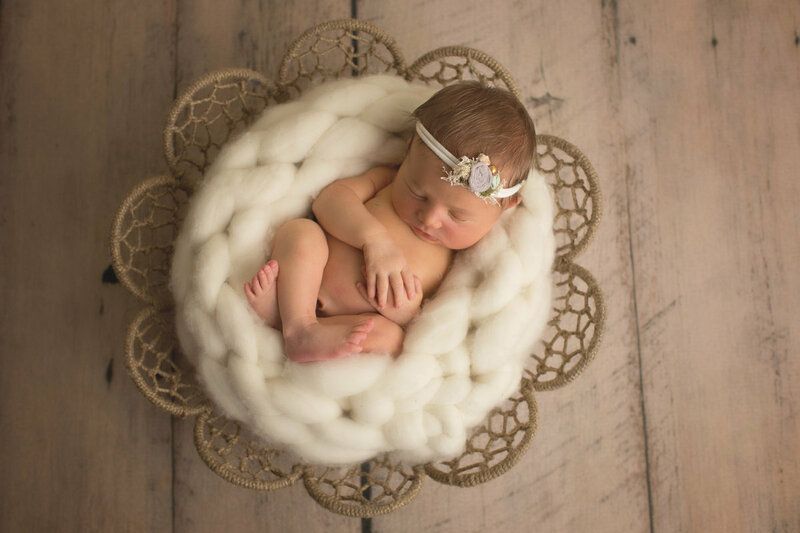 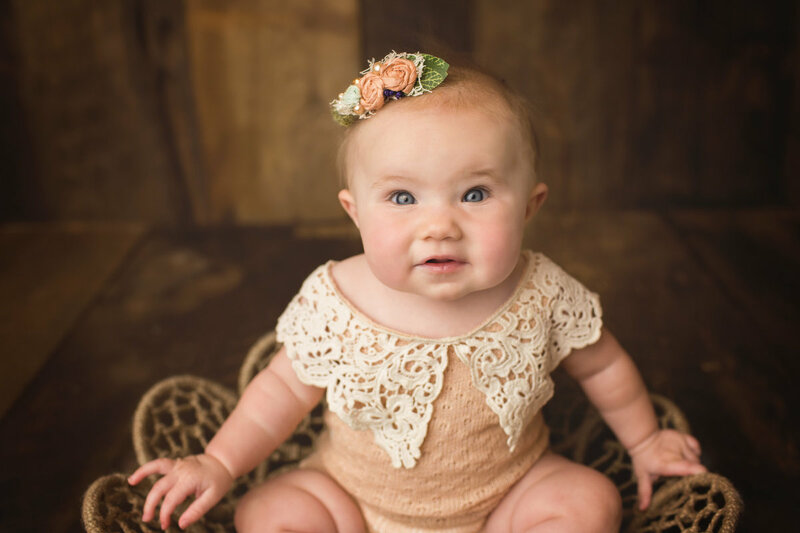 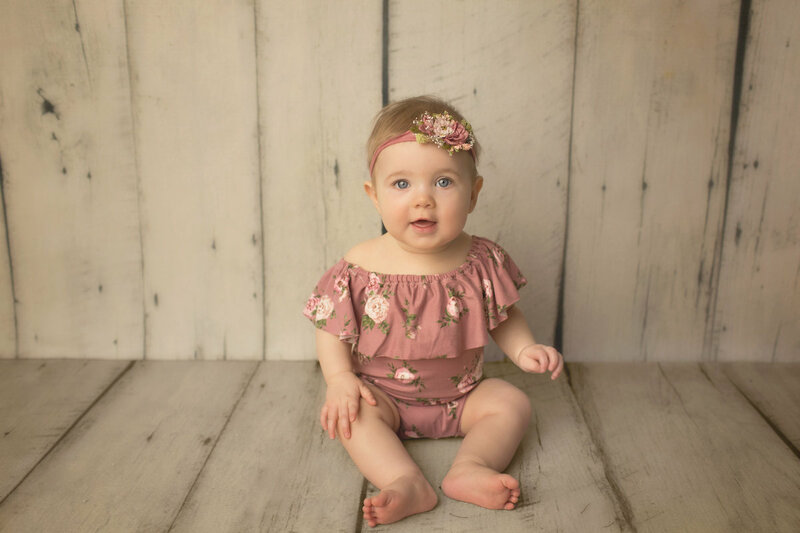 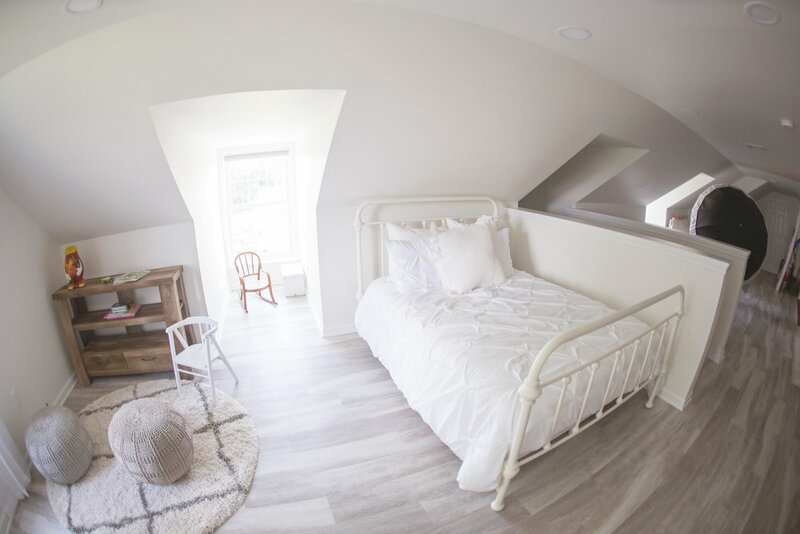 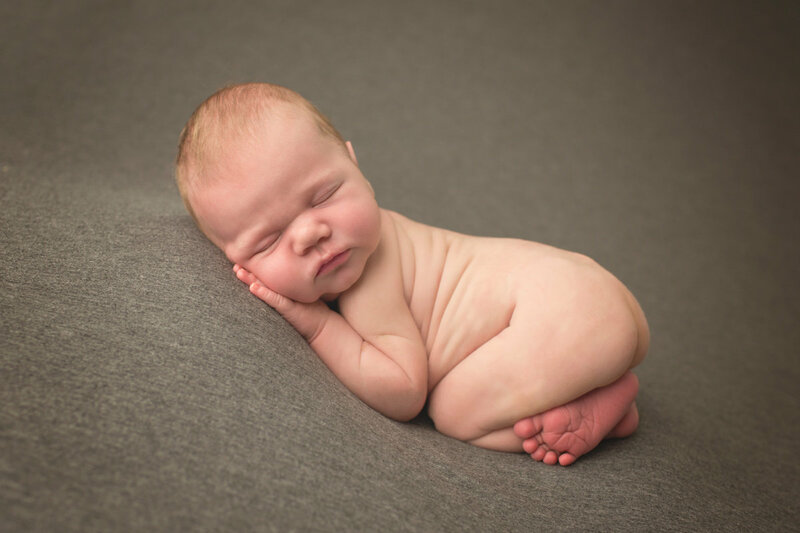 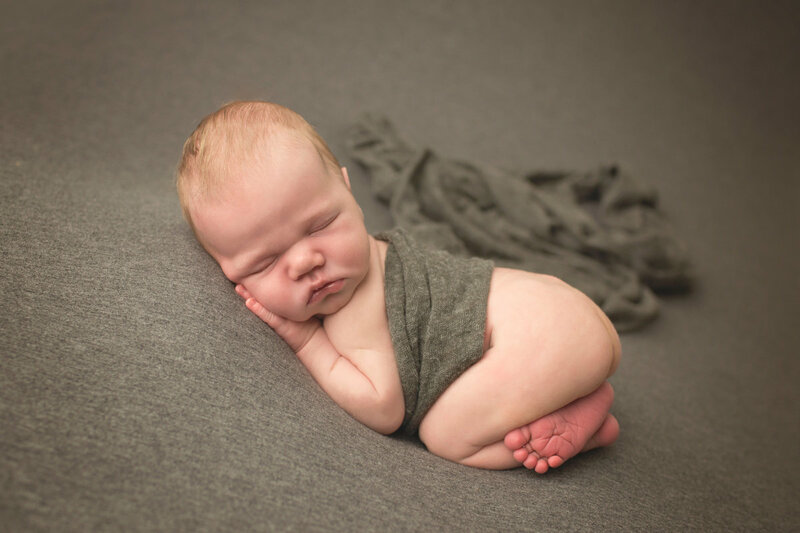 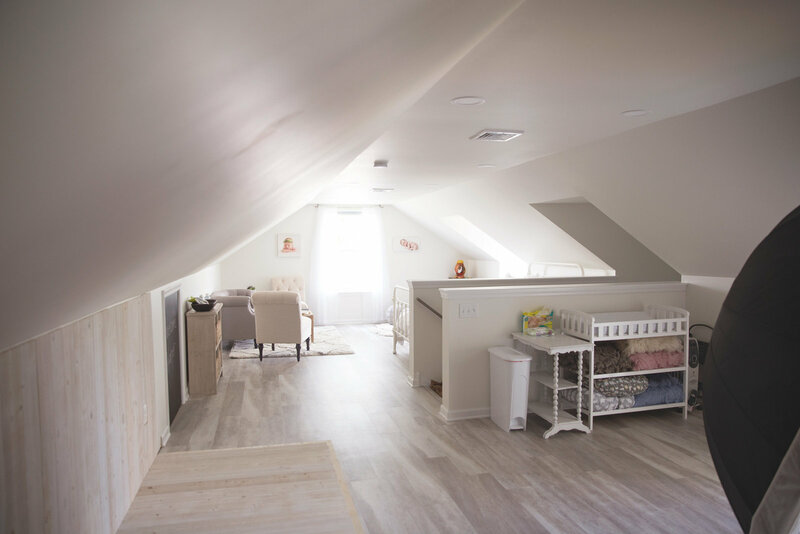 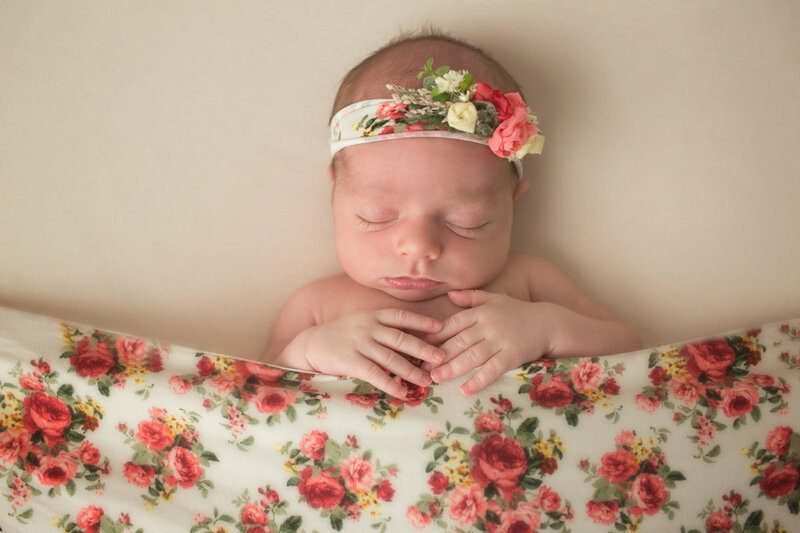 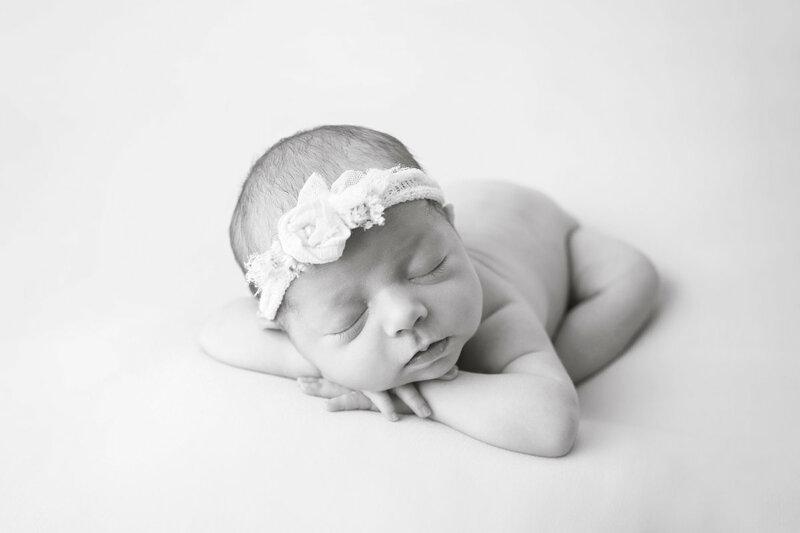 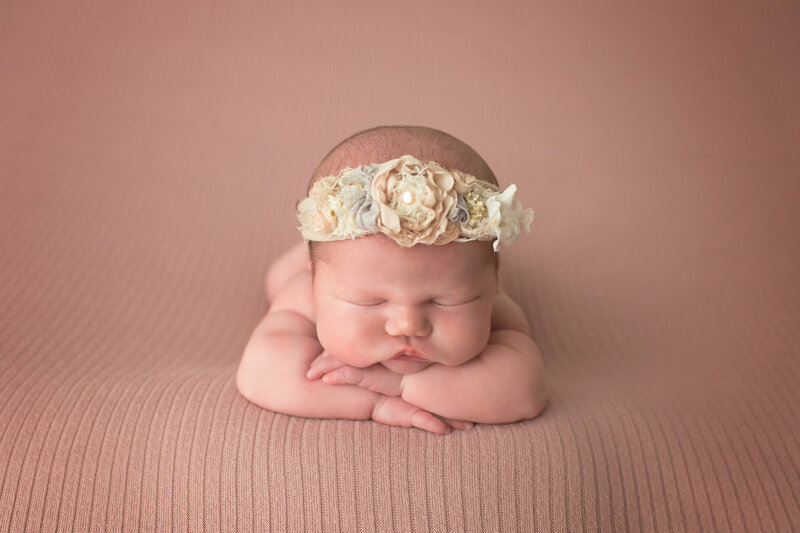 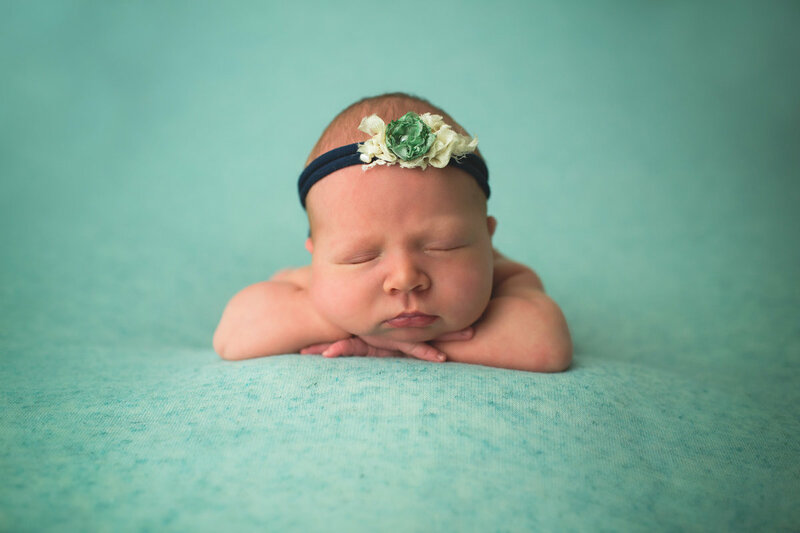 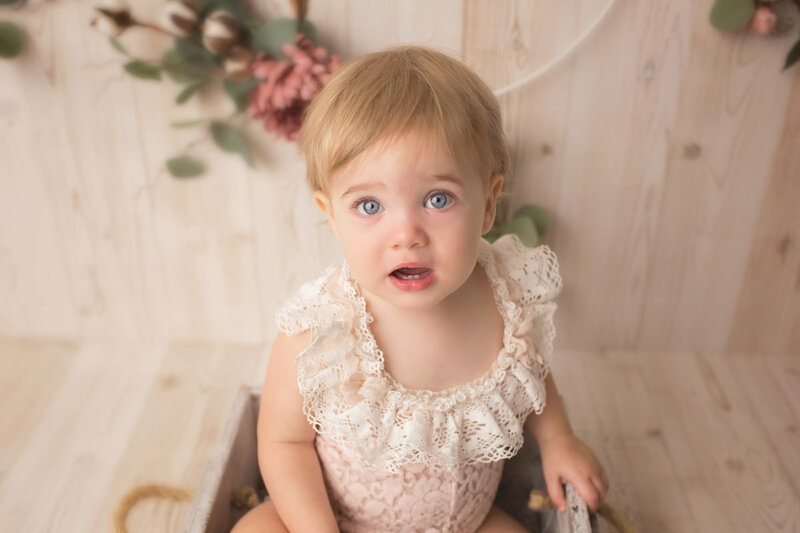 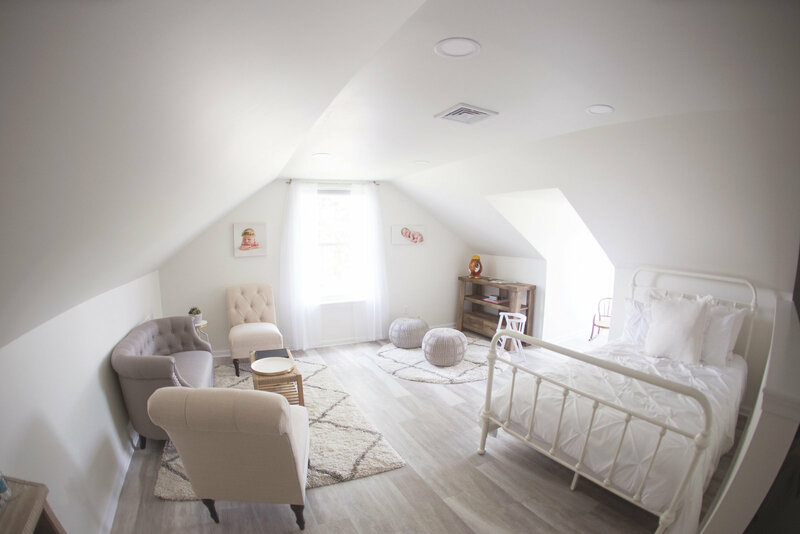 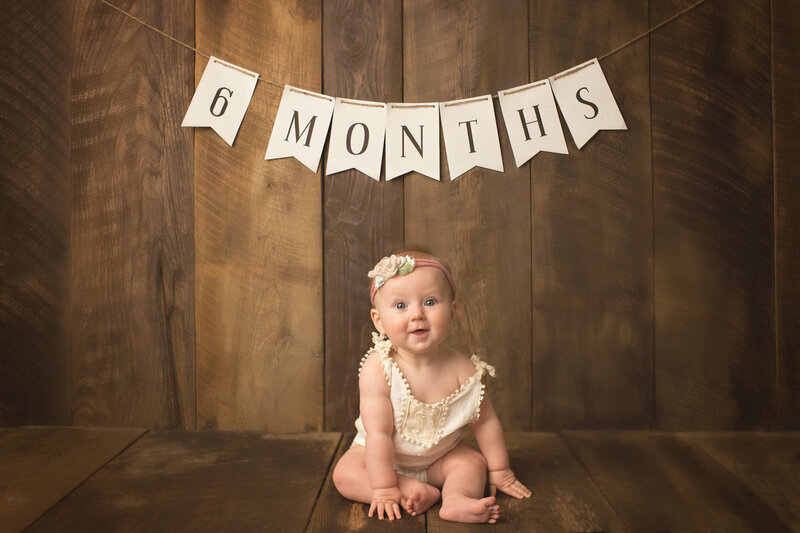 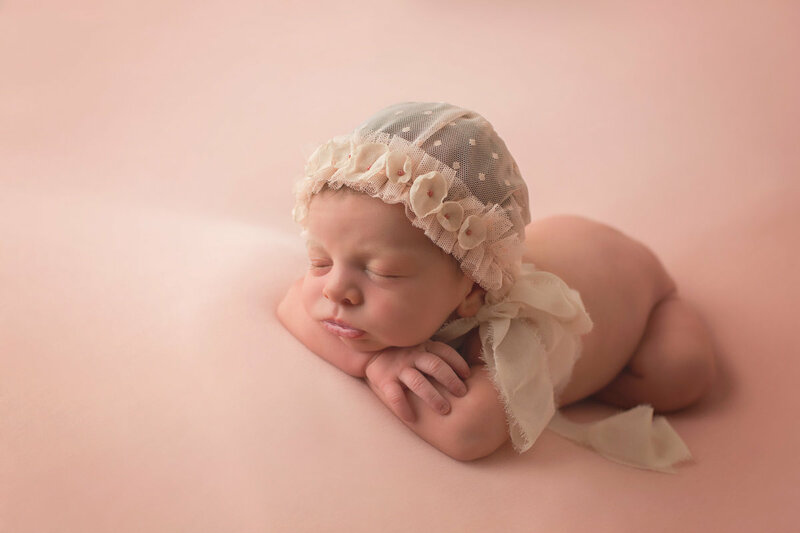 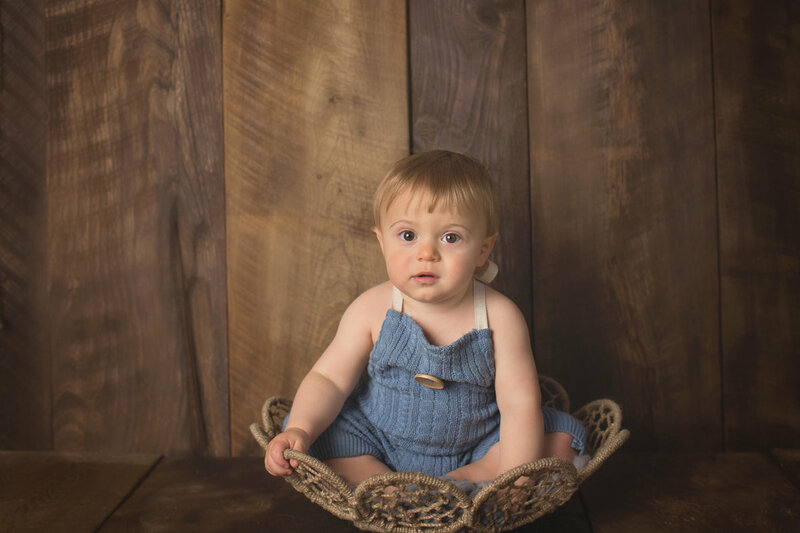 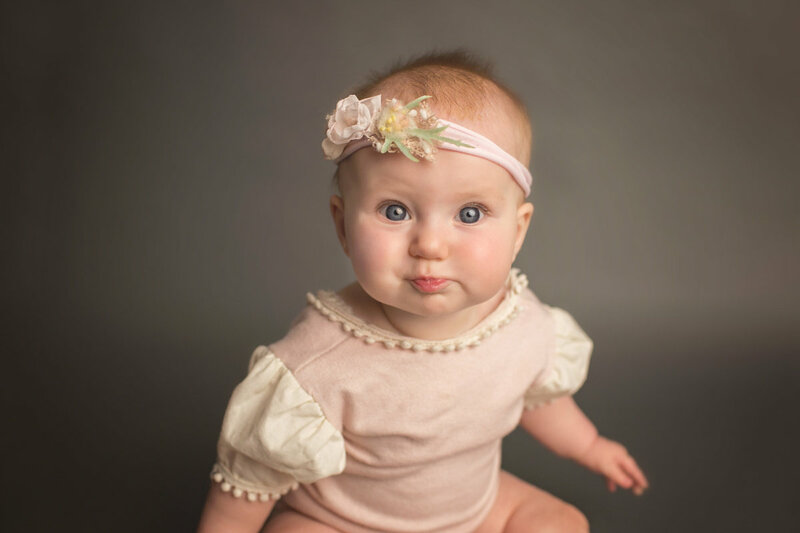 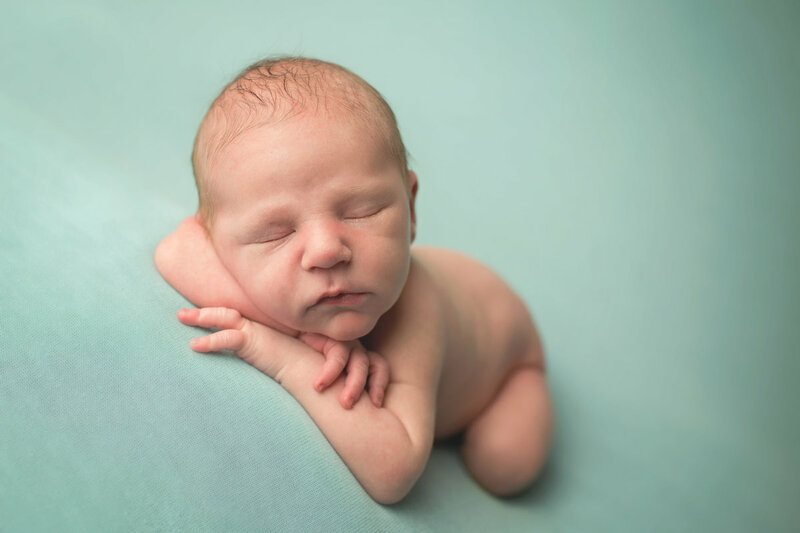 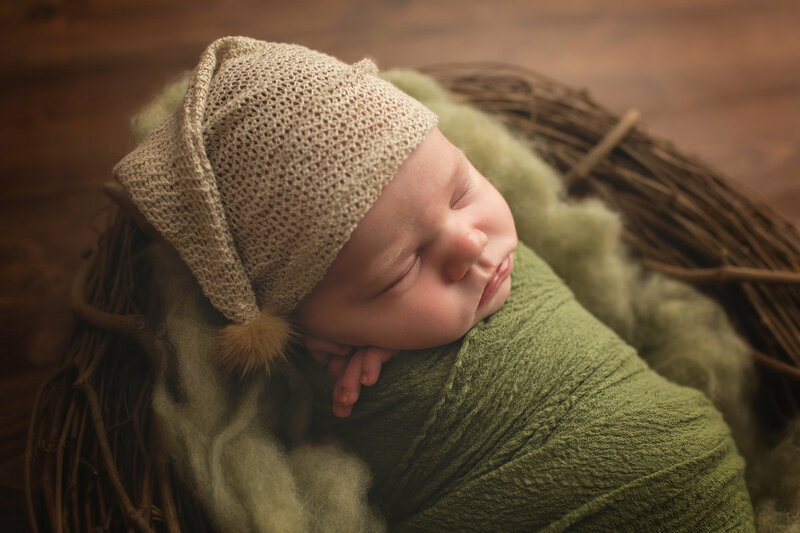 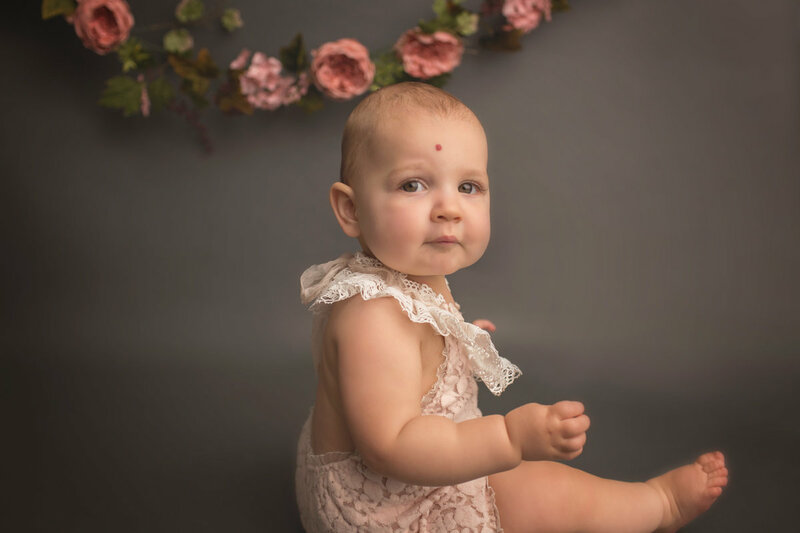 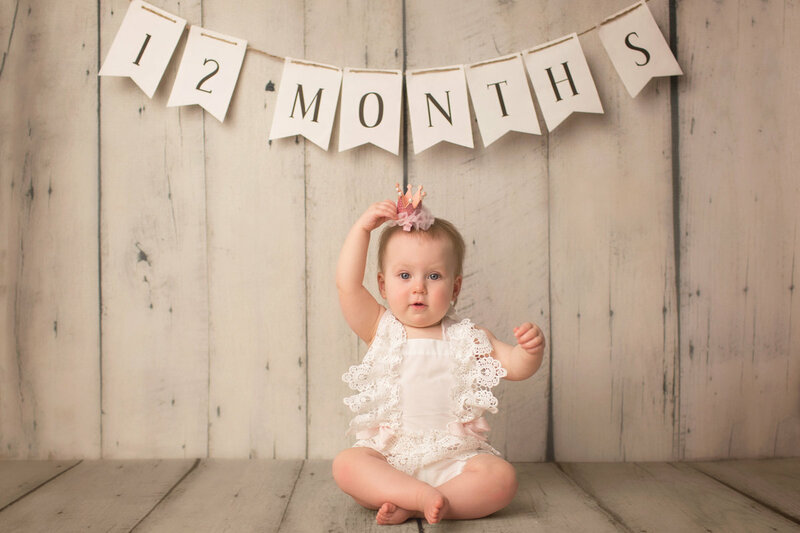 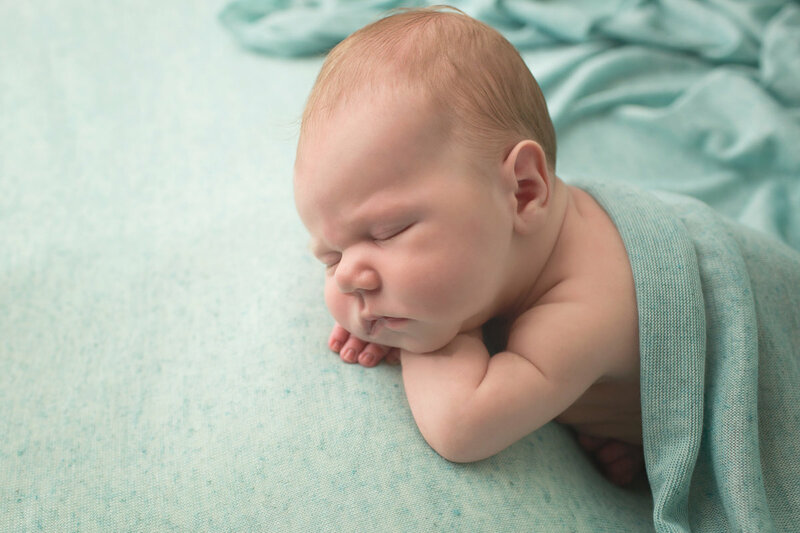 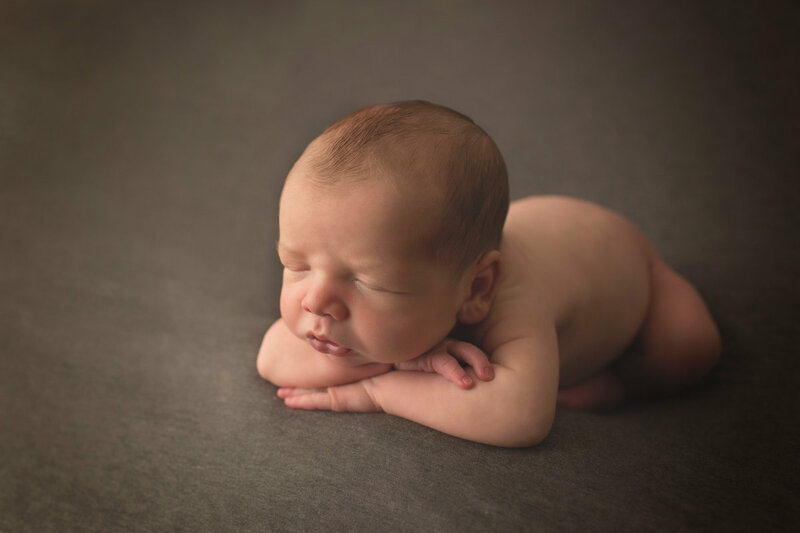 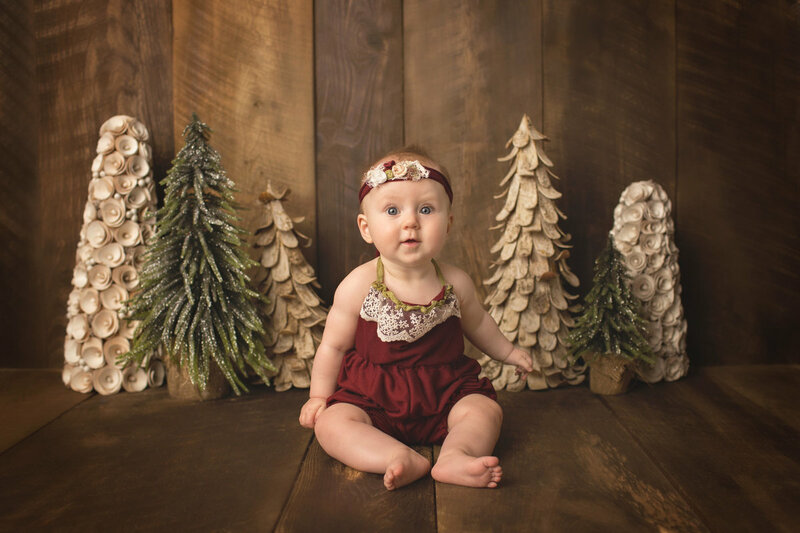 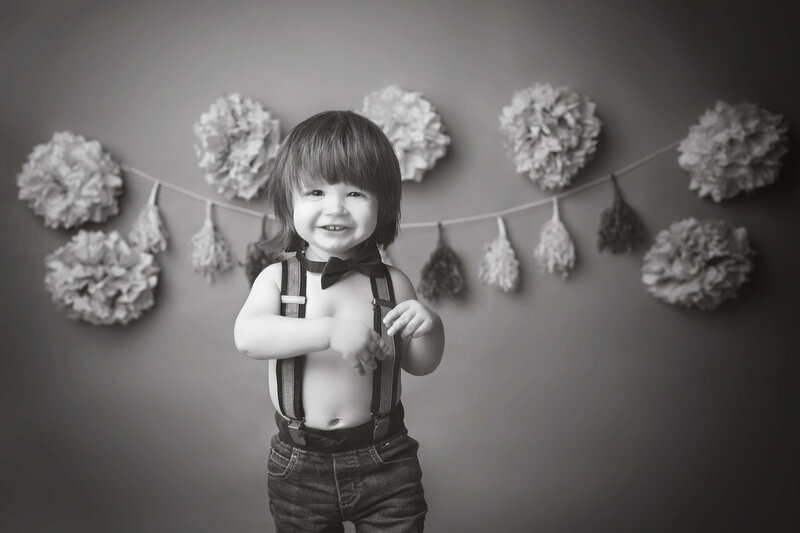 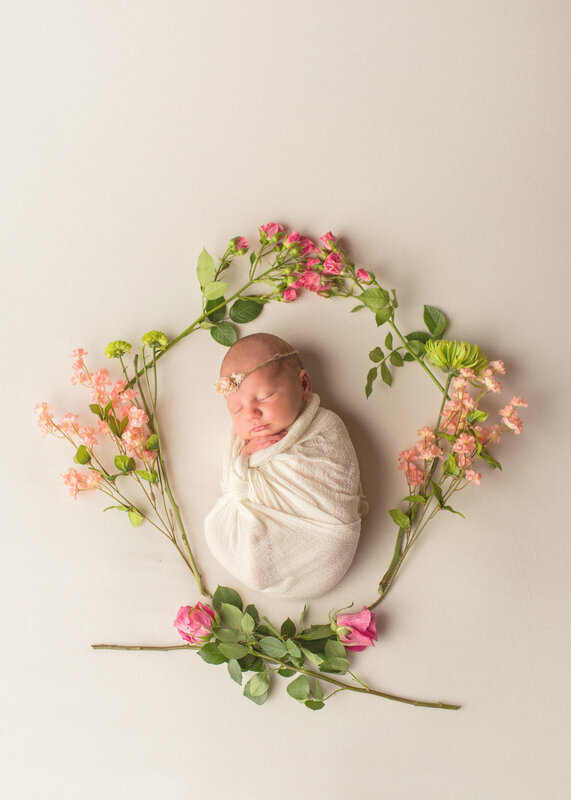 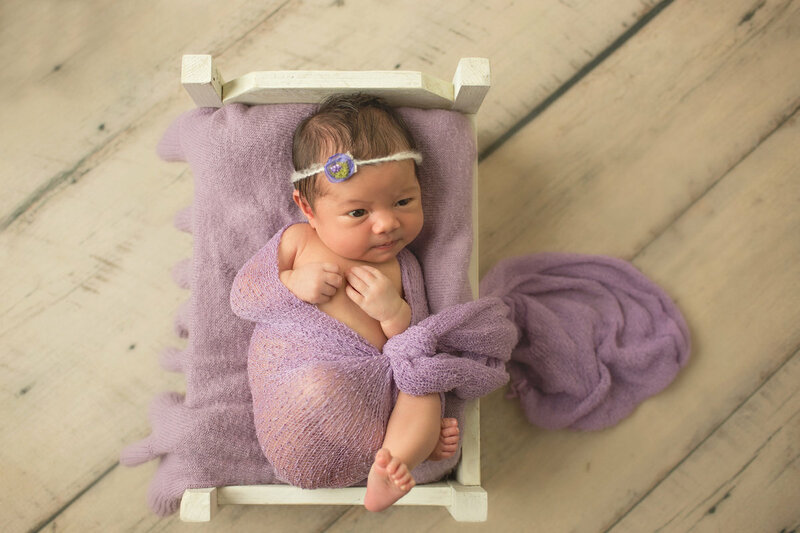 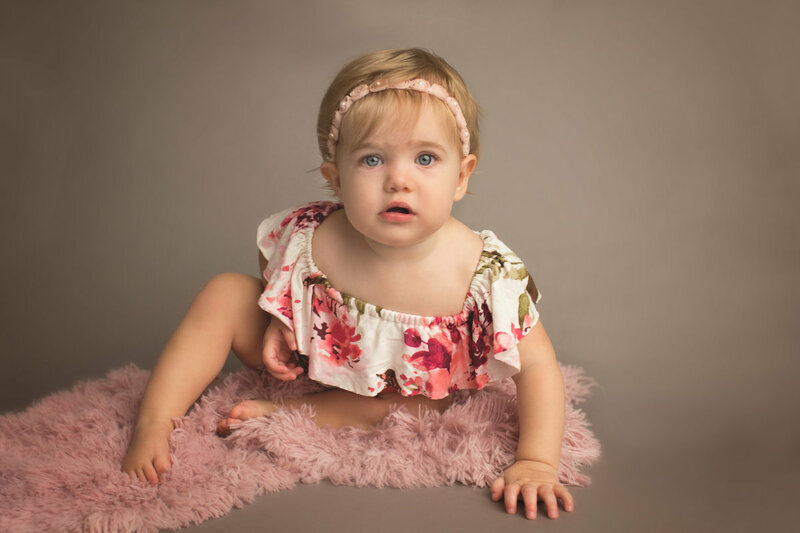 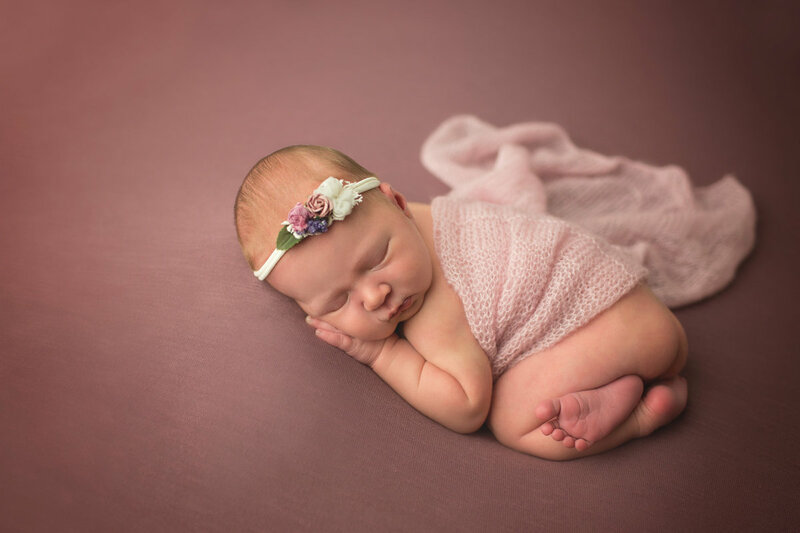 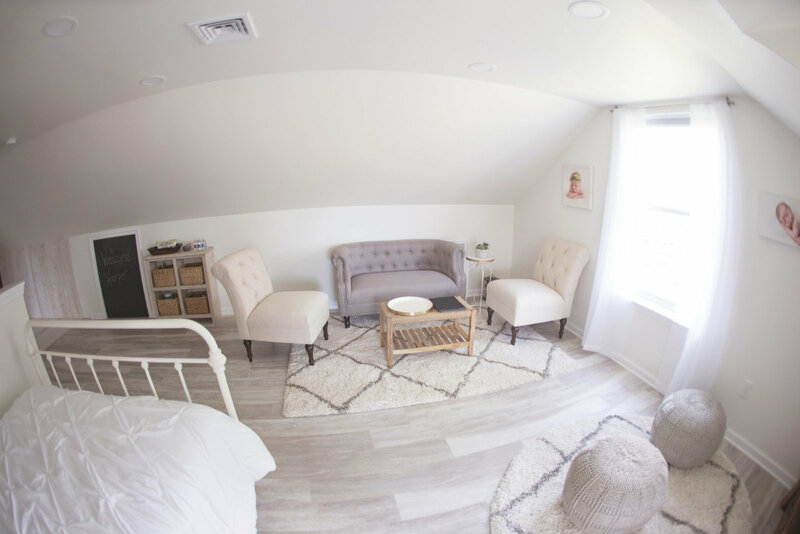 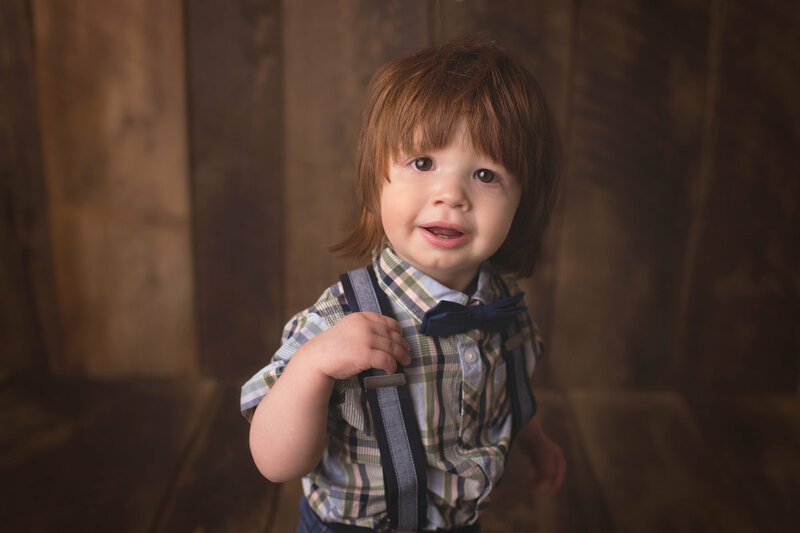 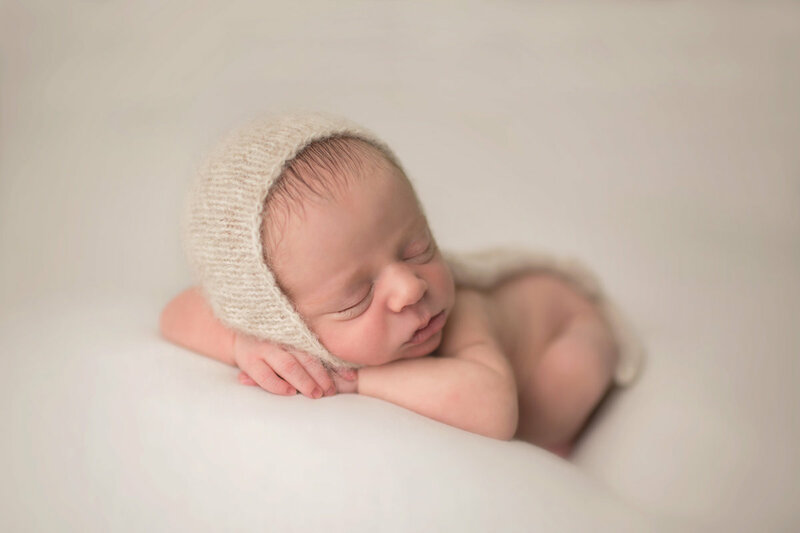 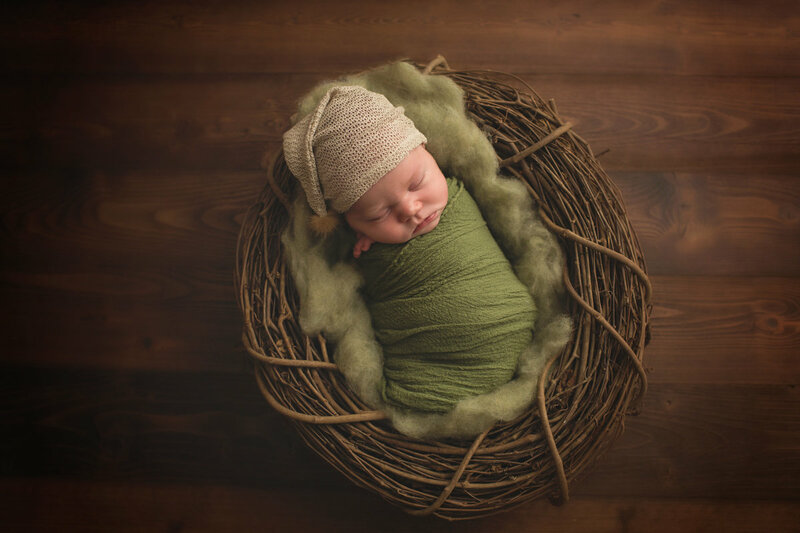 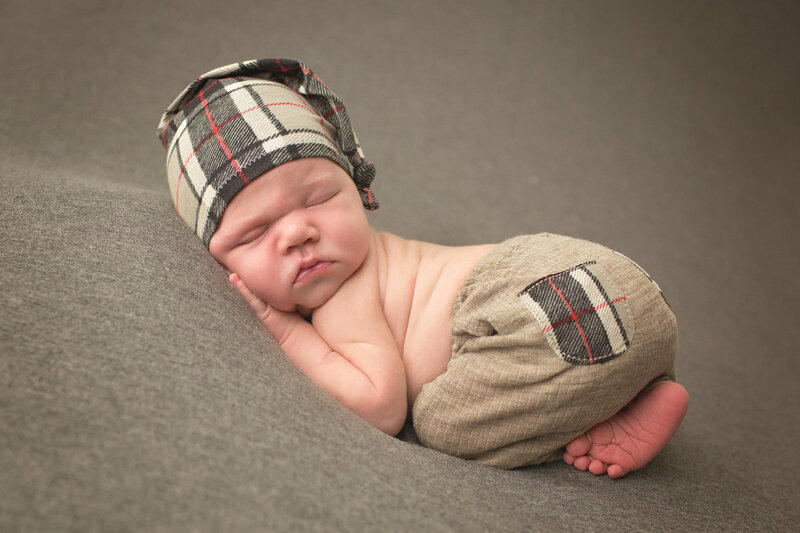 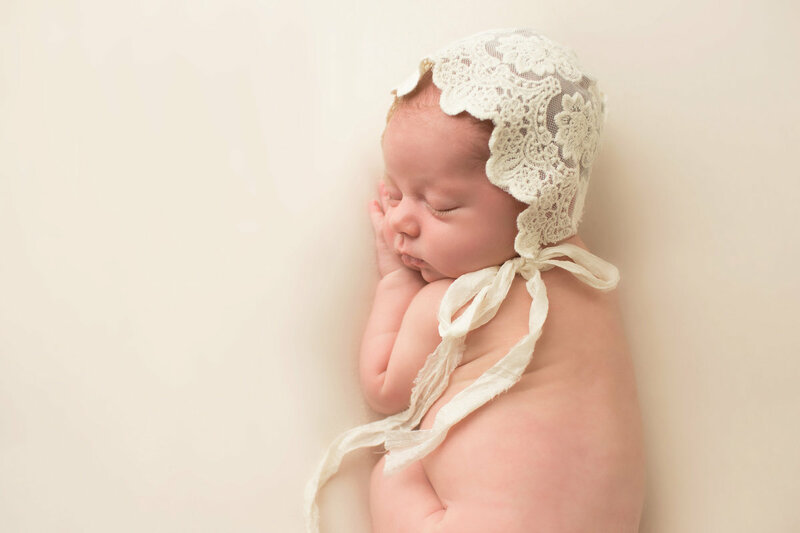 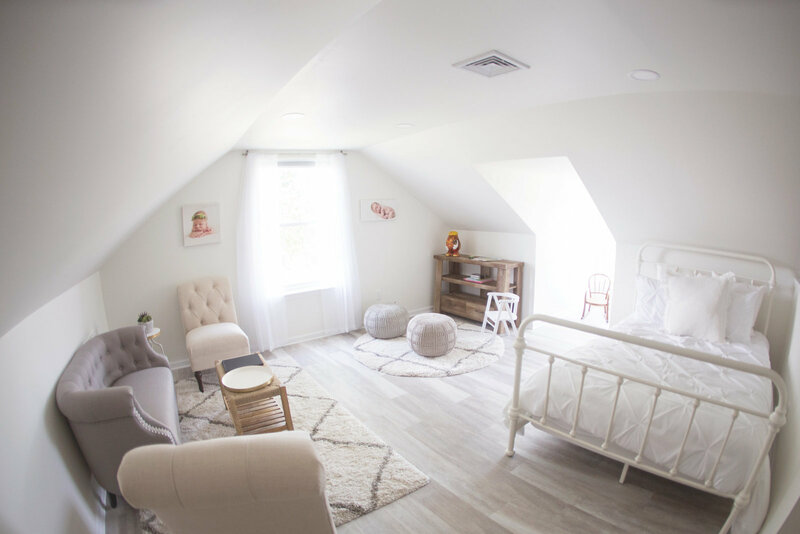 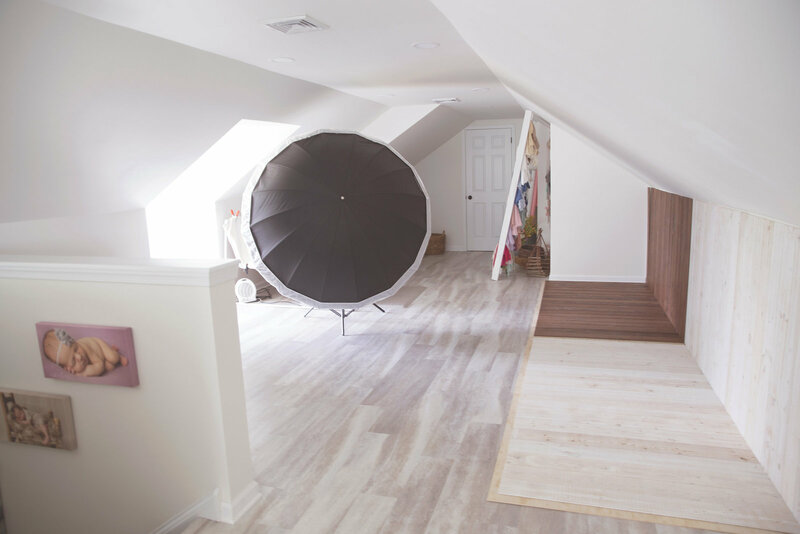 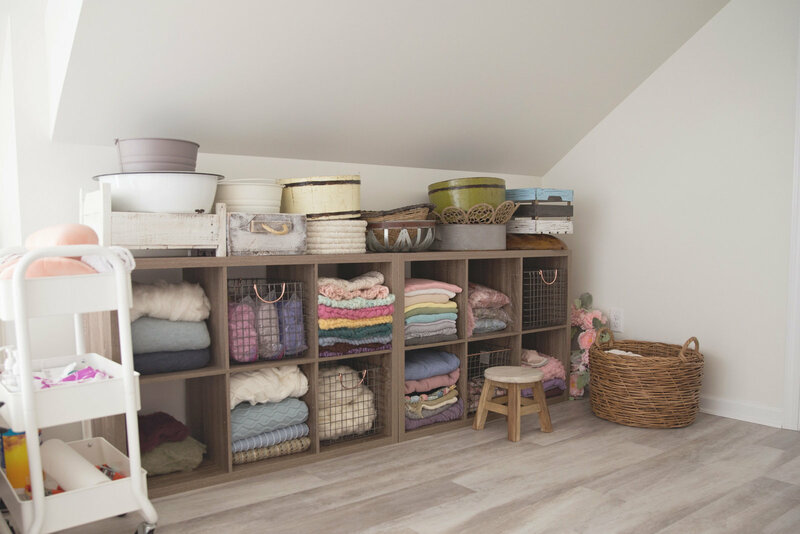 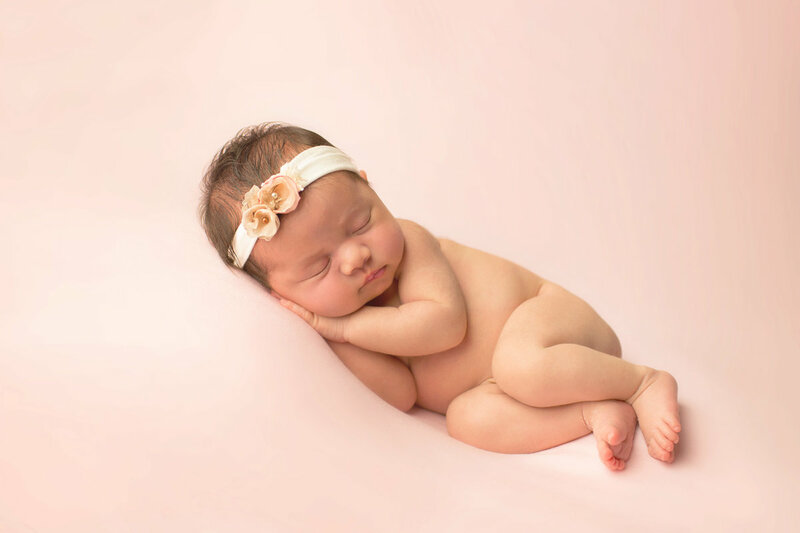 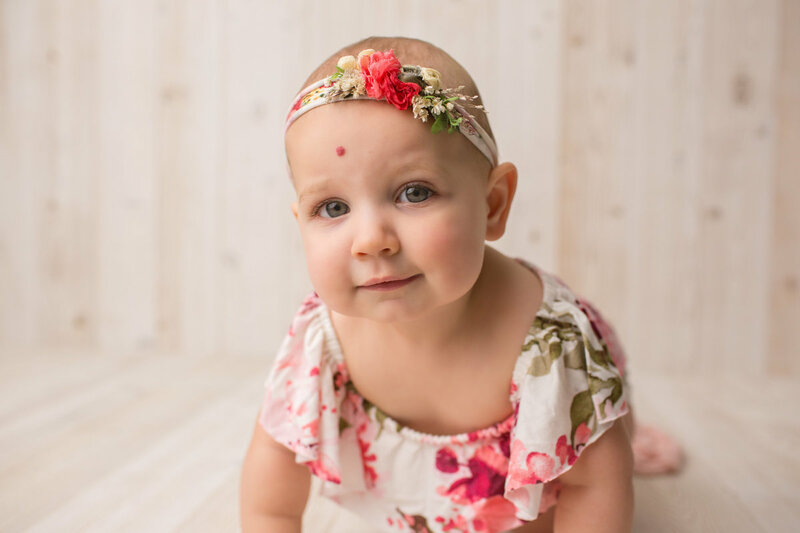 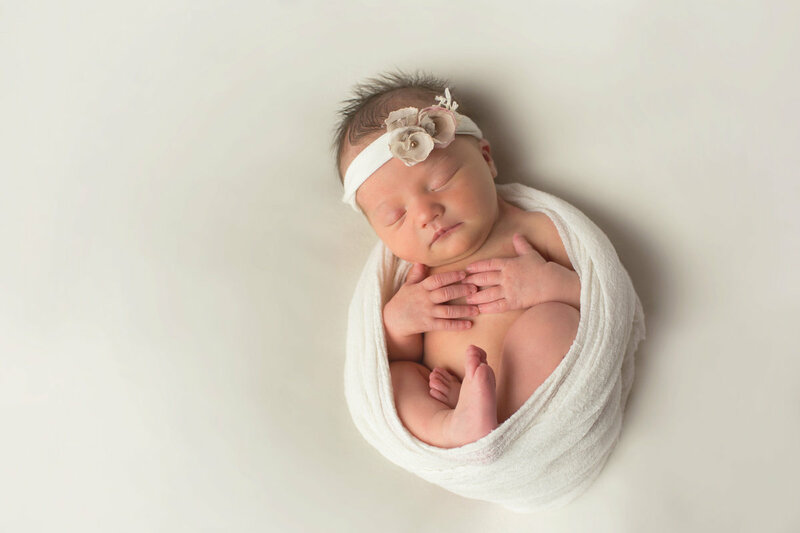 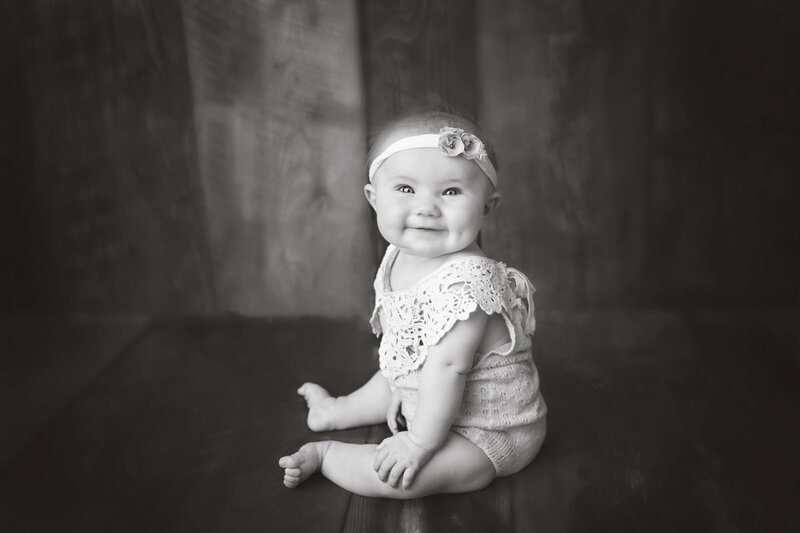 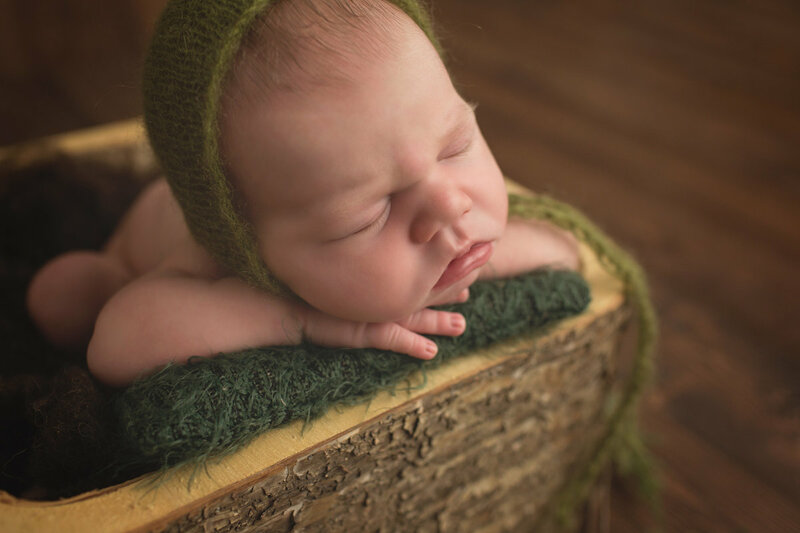 I schedule all of my newborn sessions in my home studio on weekday mornings around 9:30 AM. 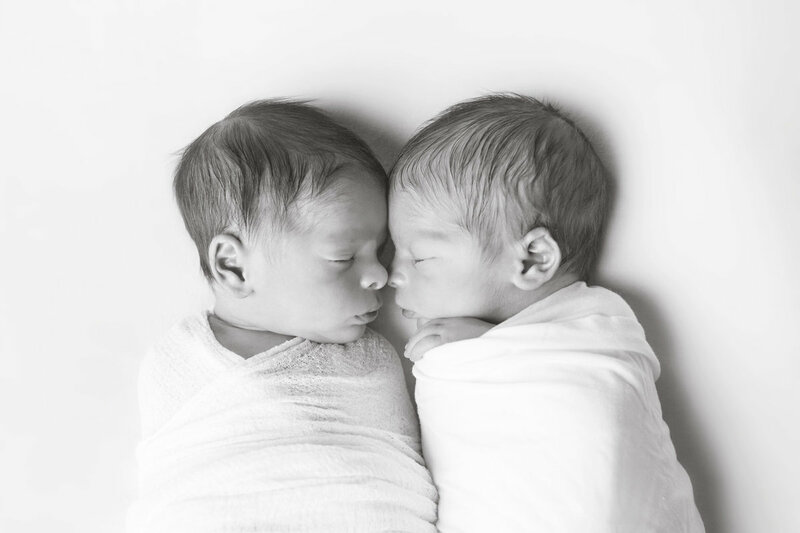 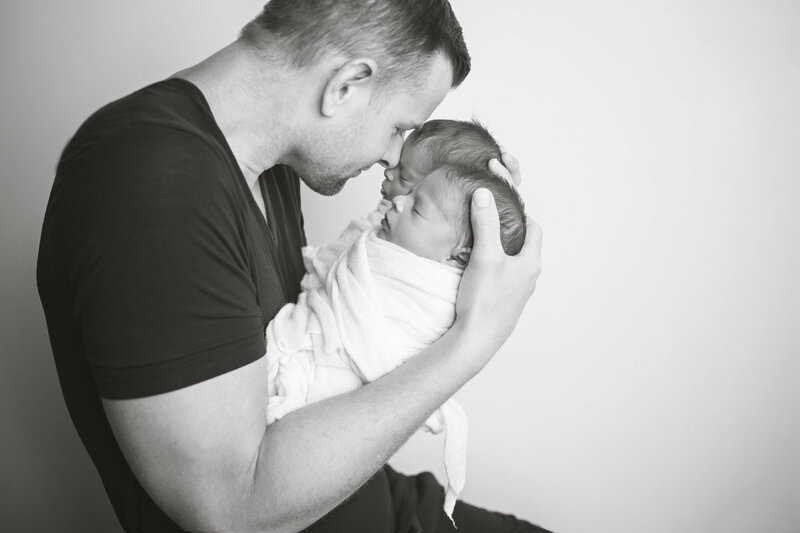 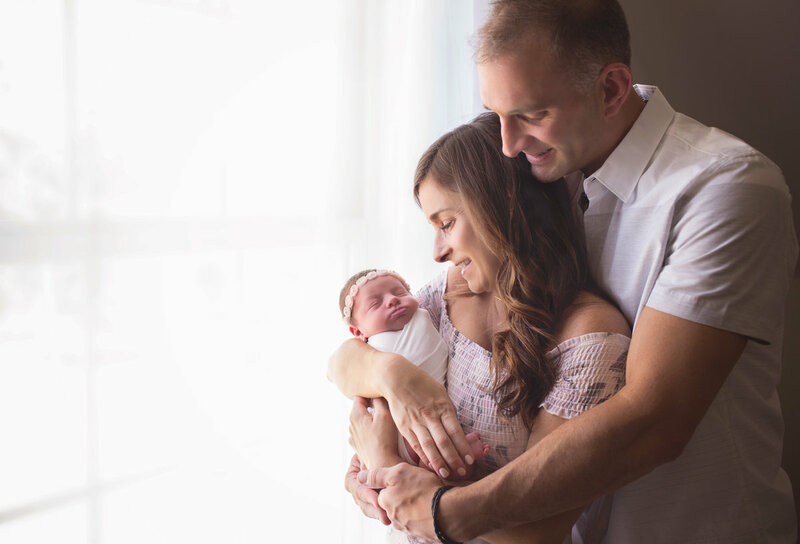 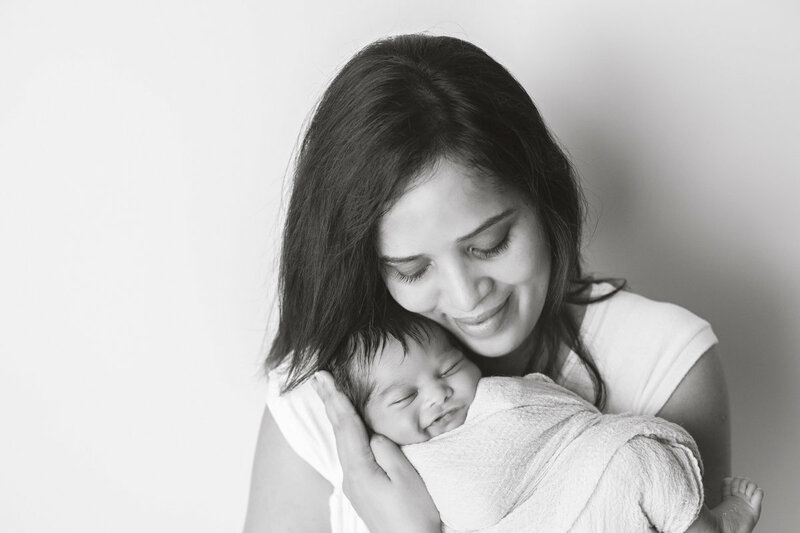 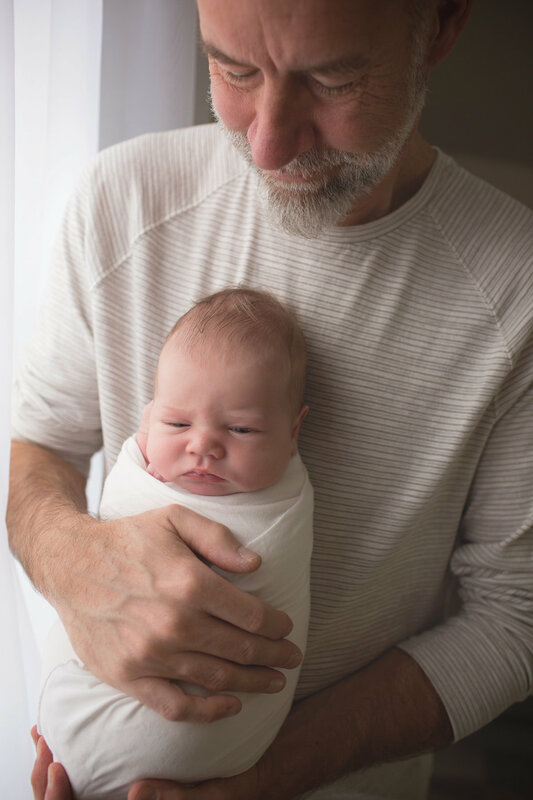 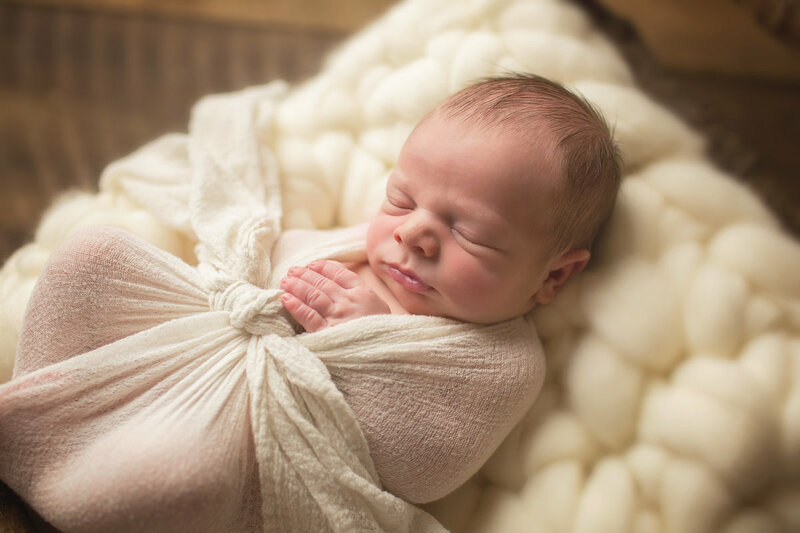 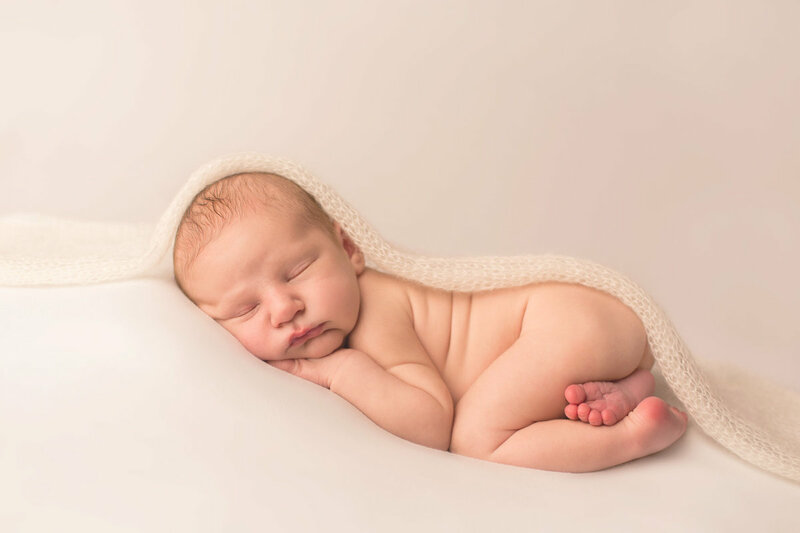 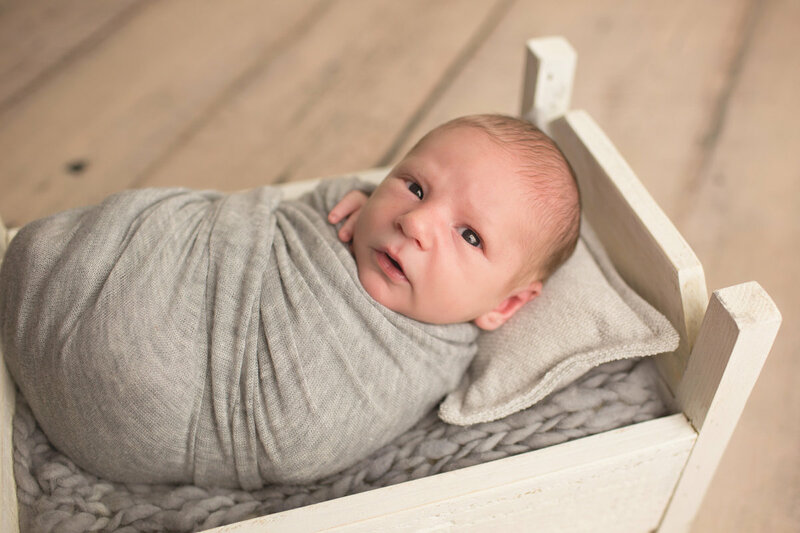 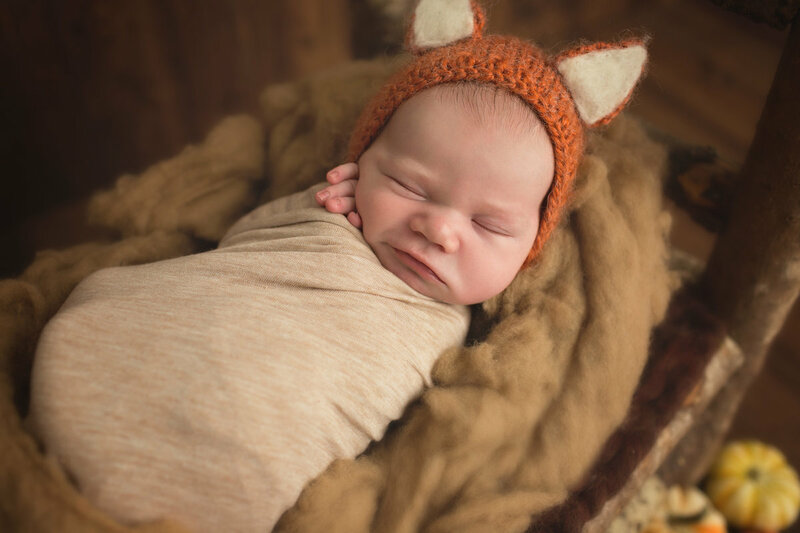 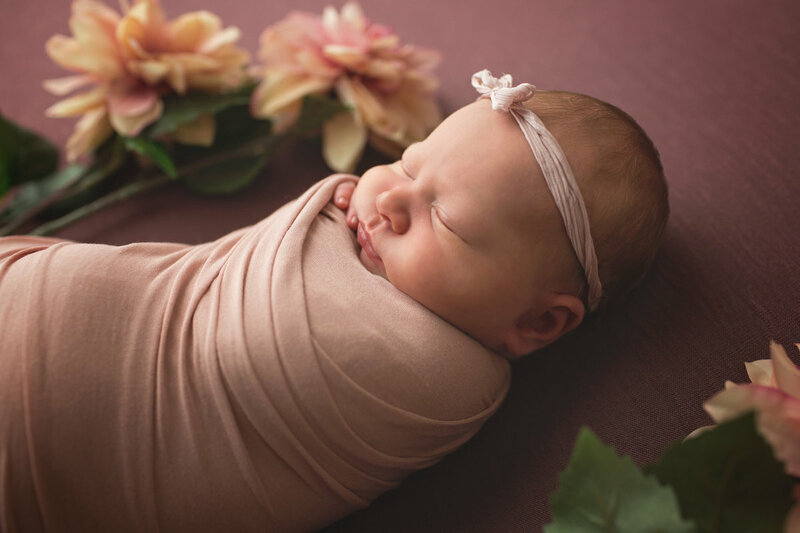 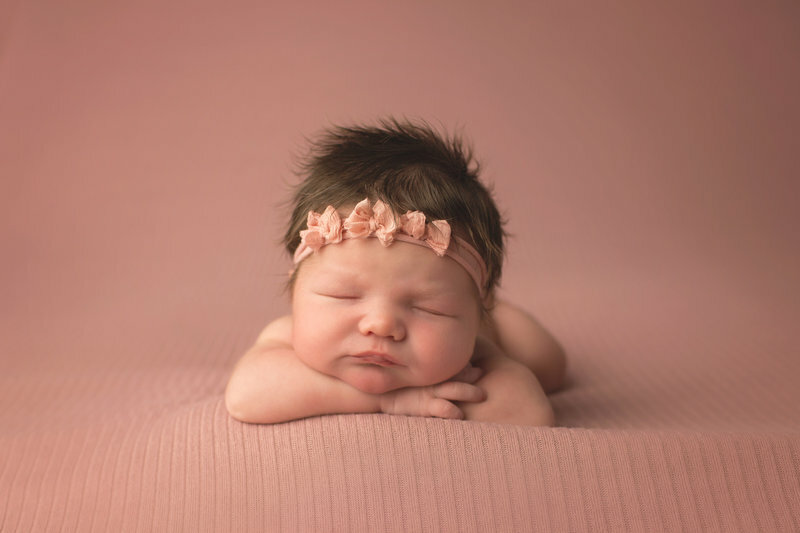 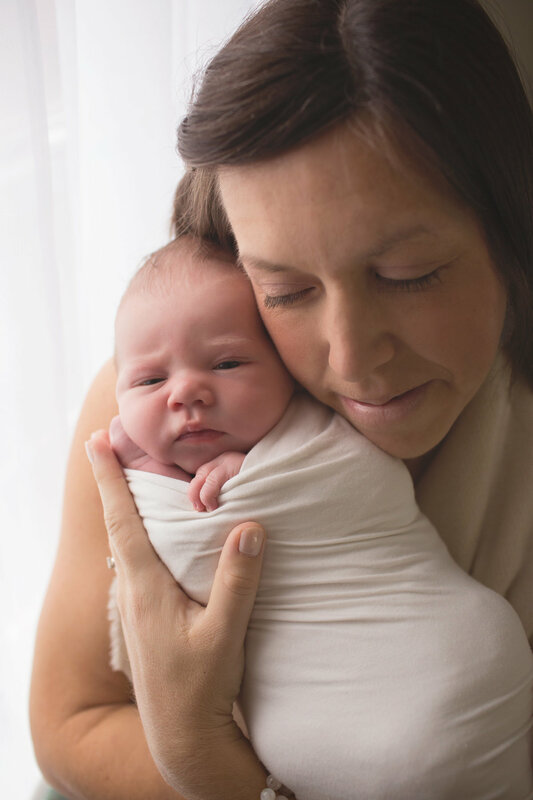 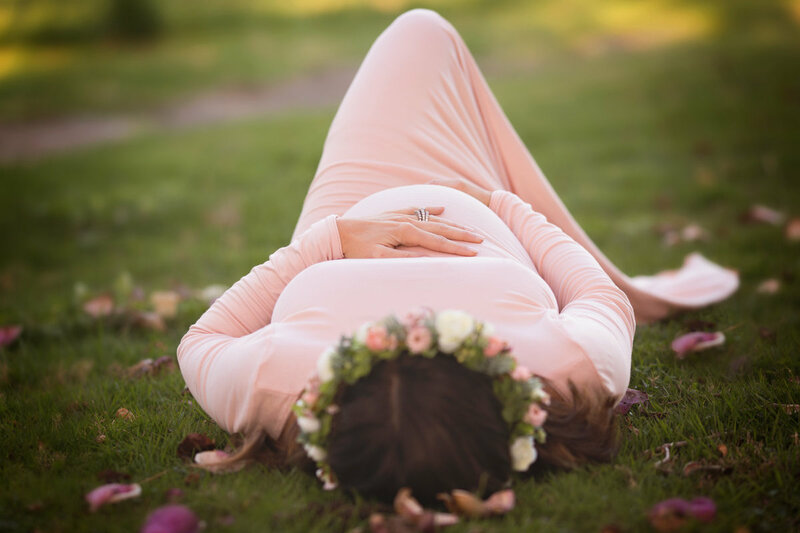 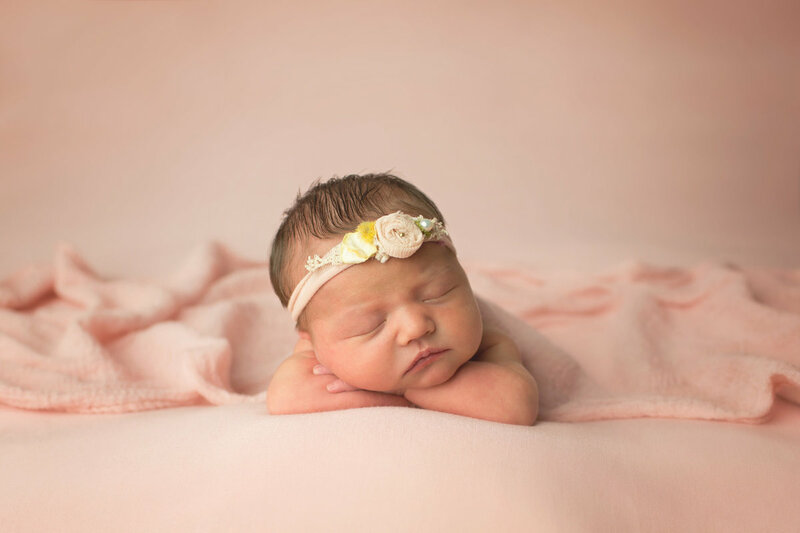 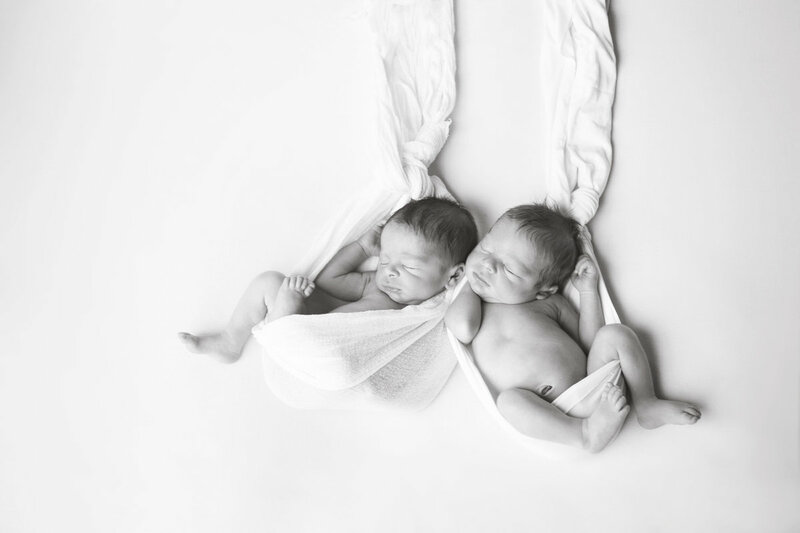 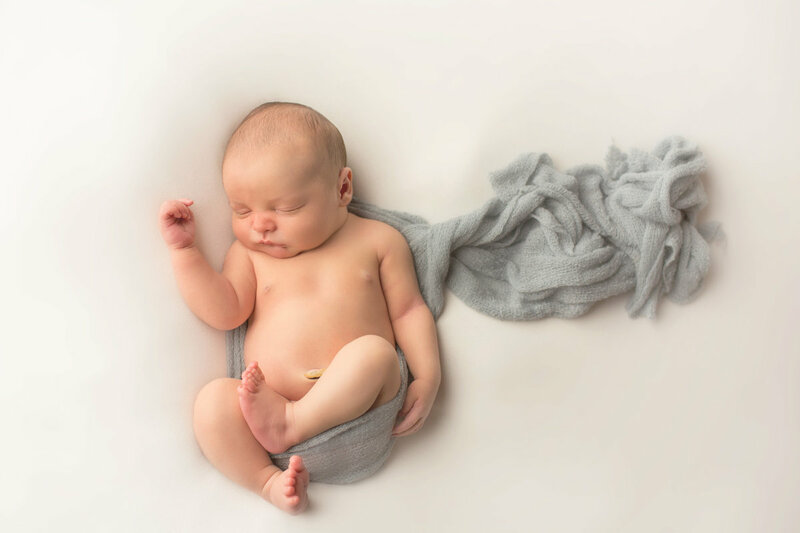 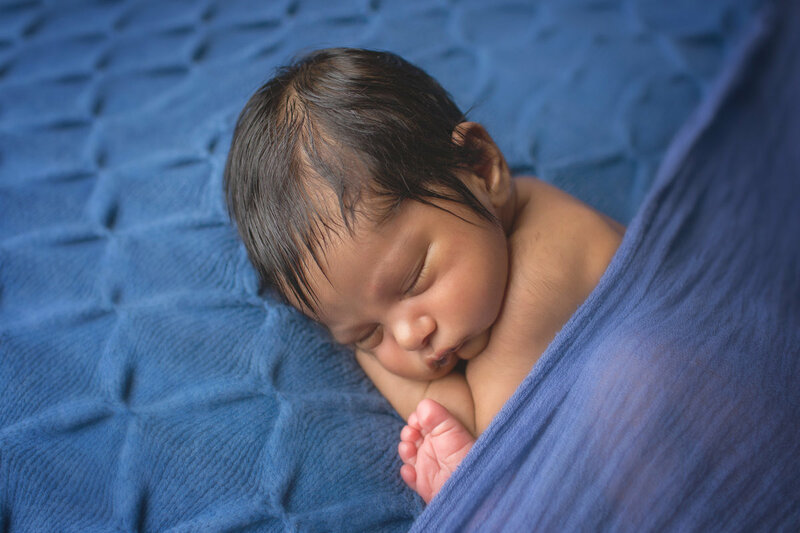 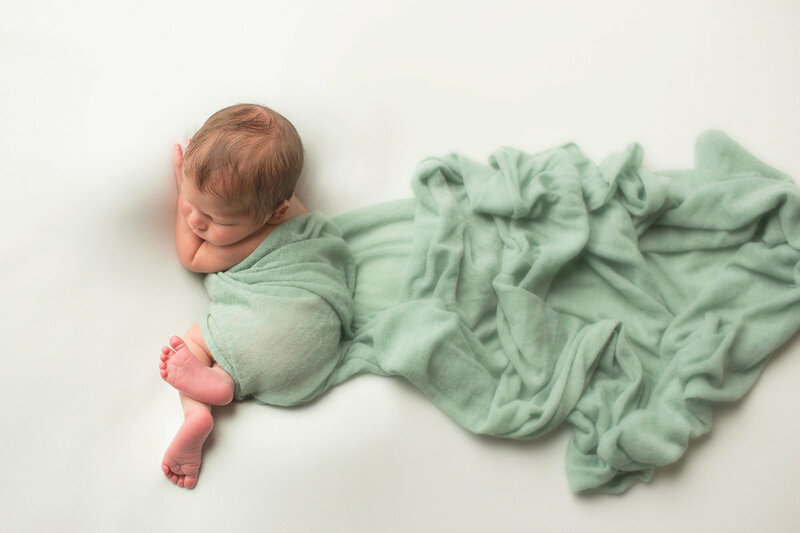 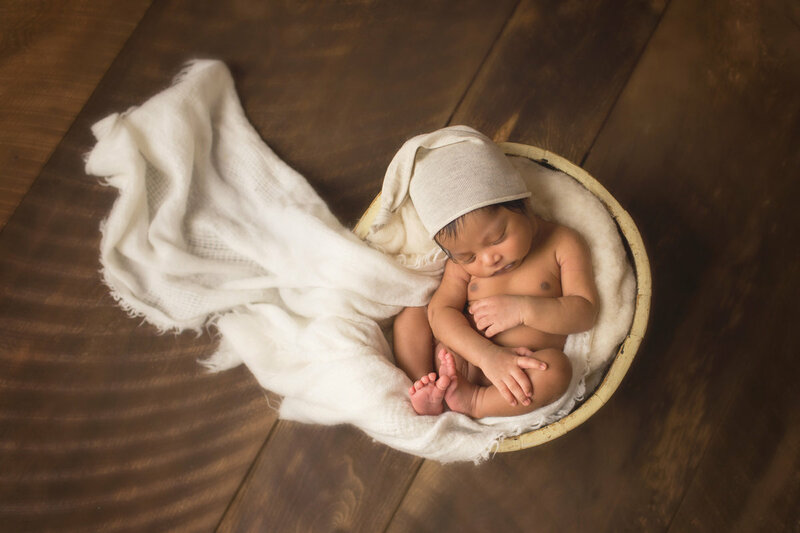 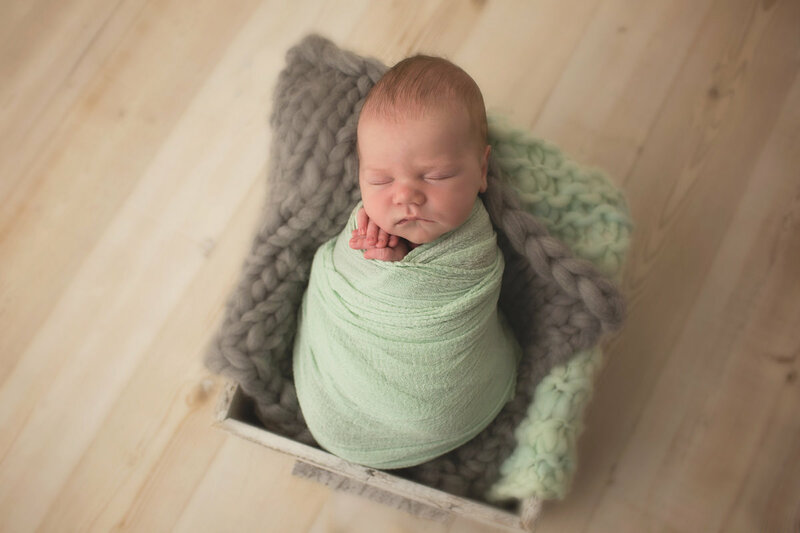 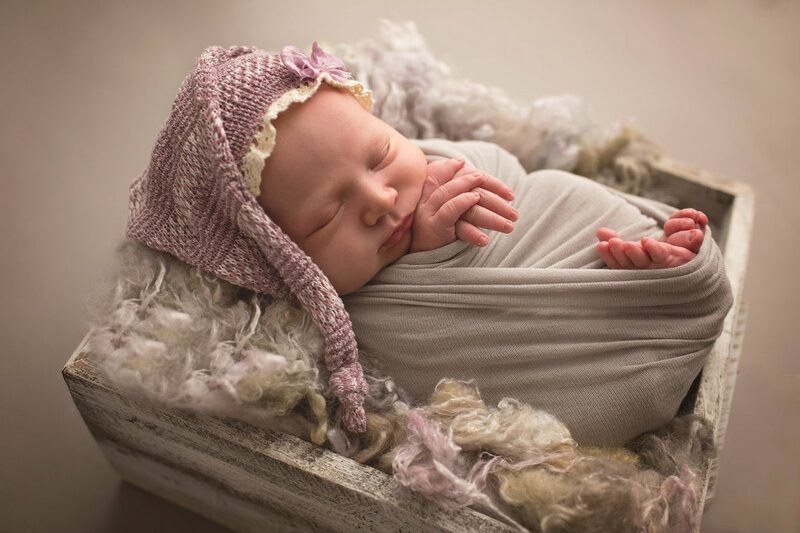 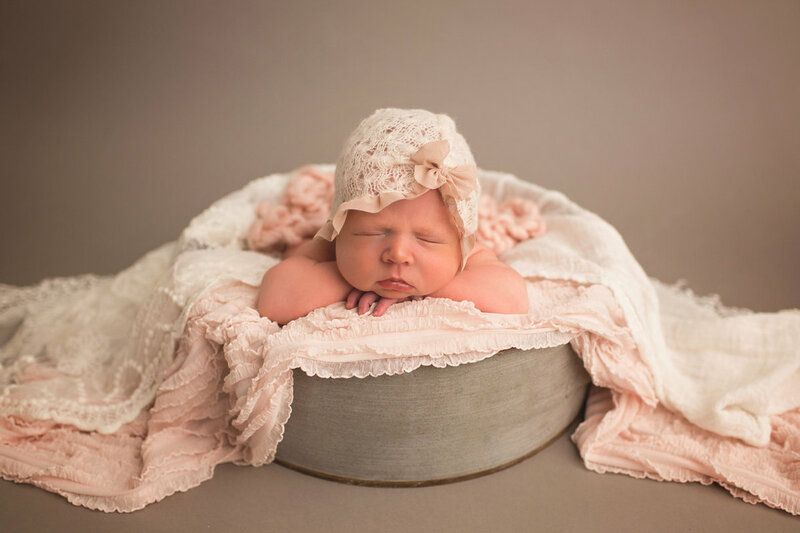 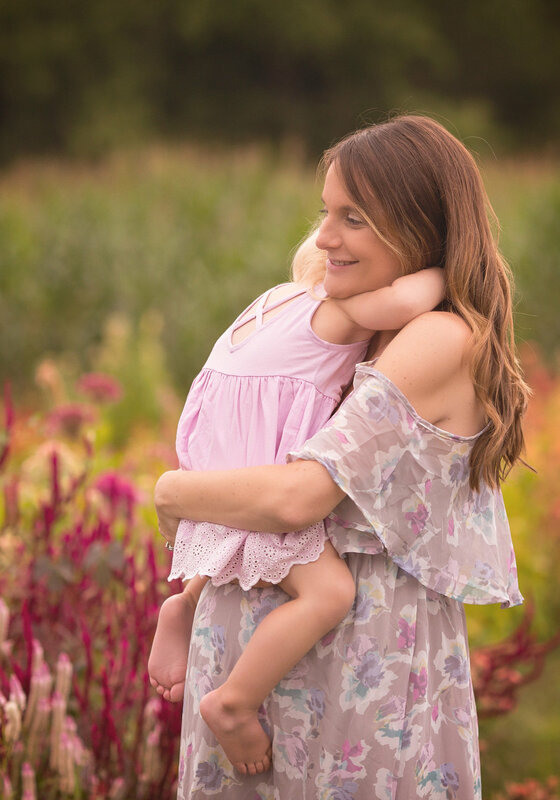 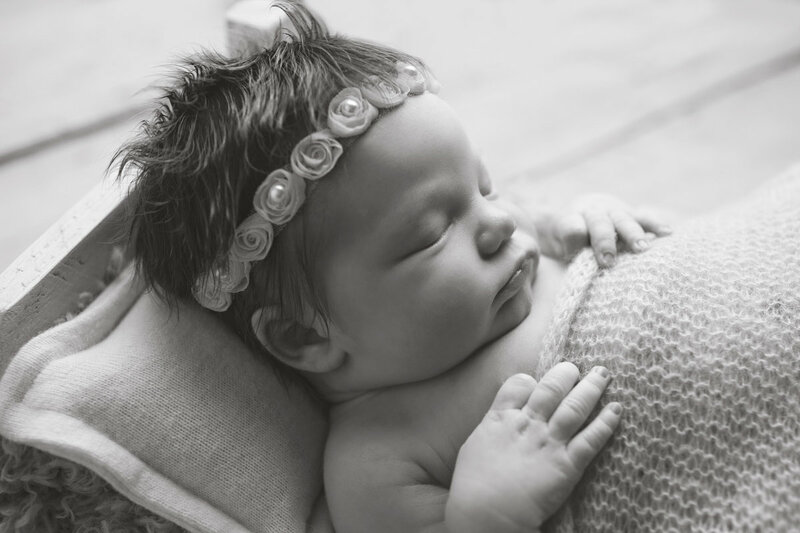 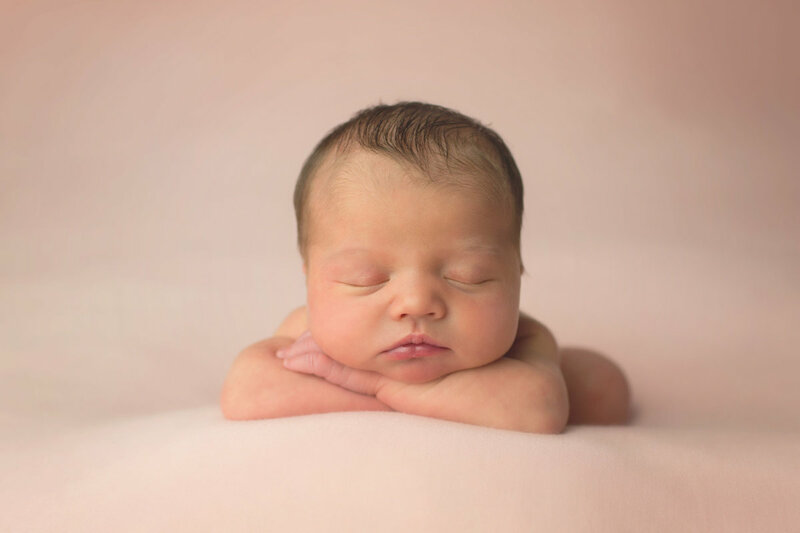 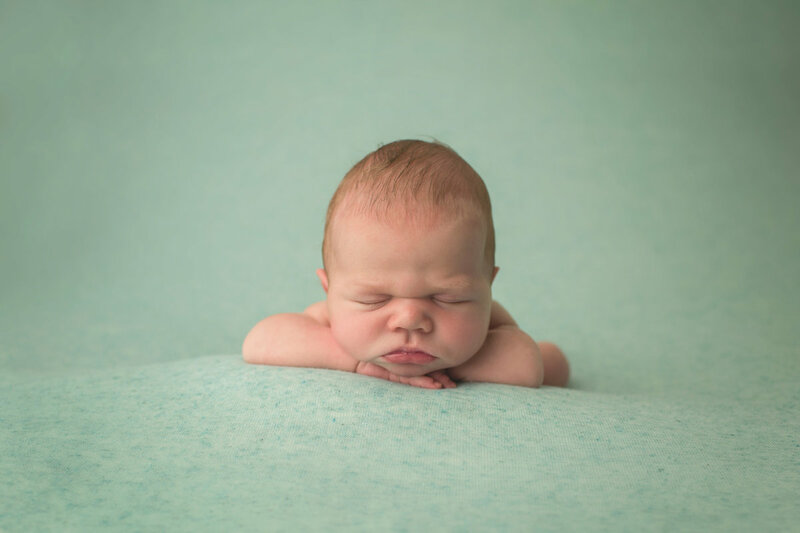 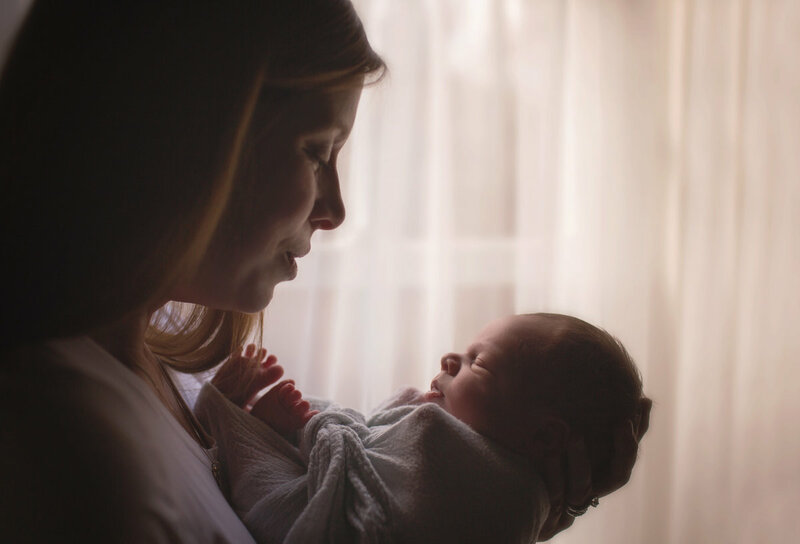 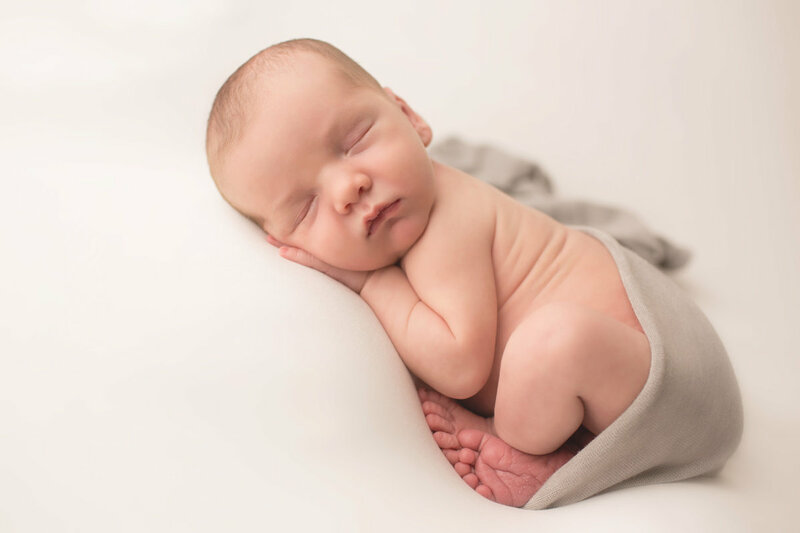 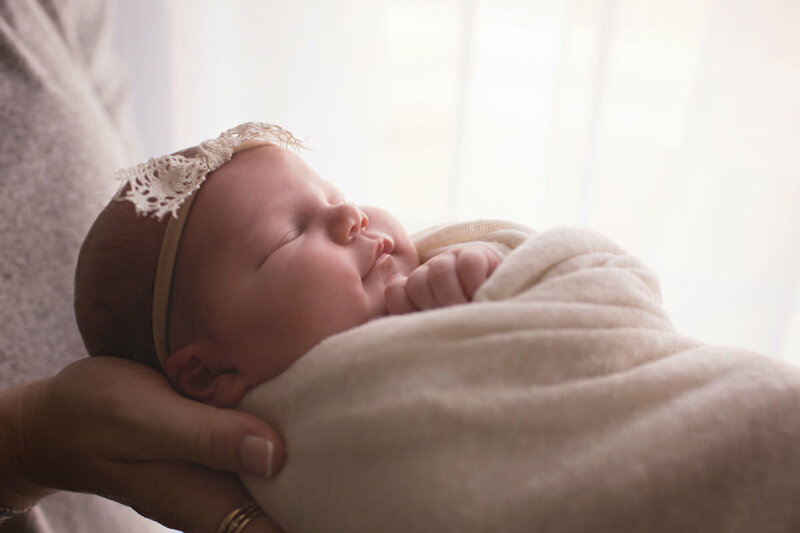 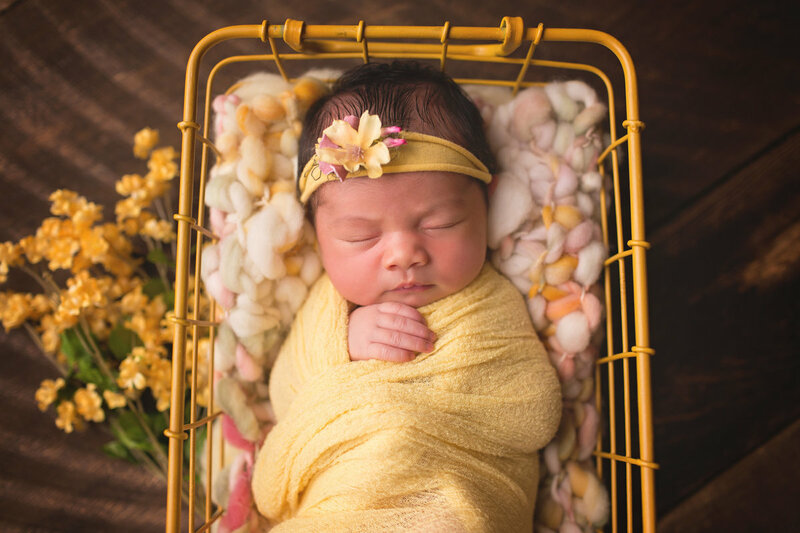 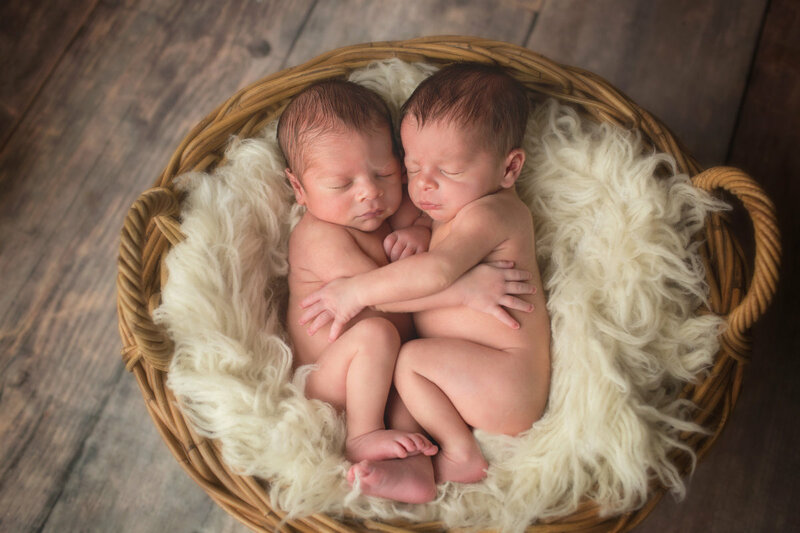 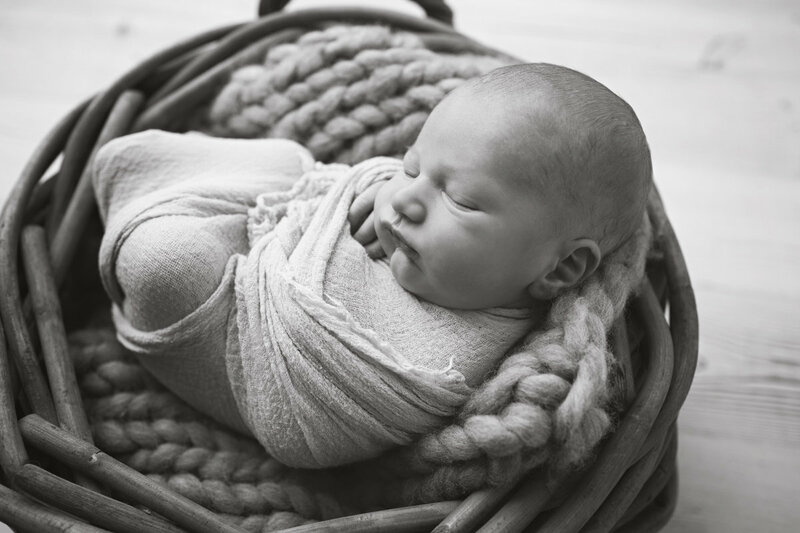 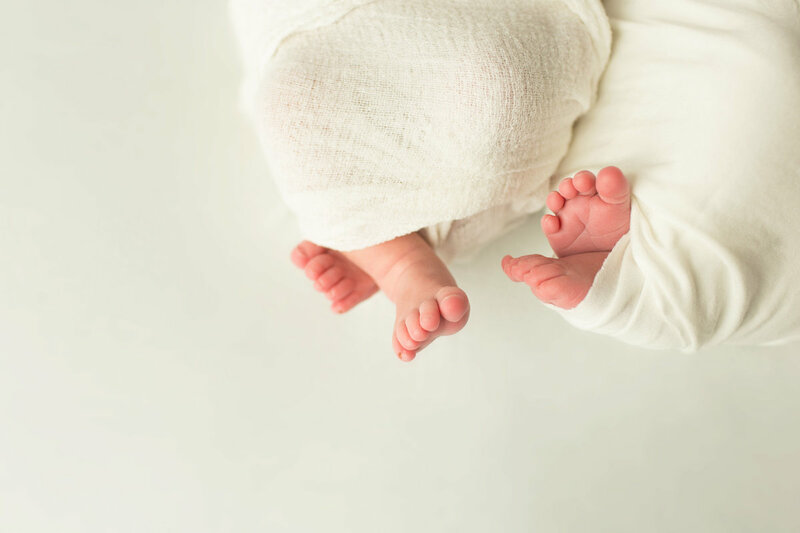 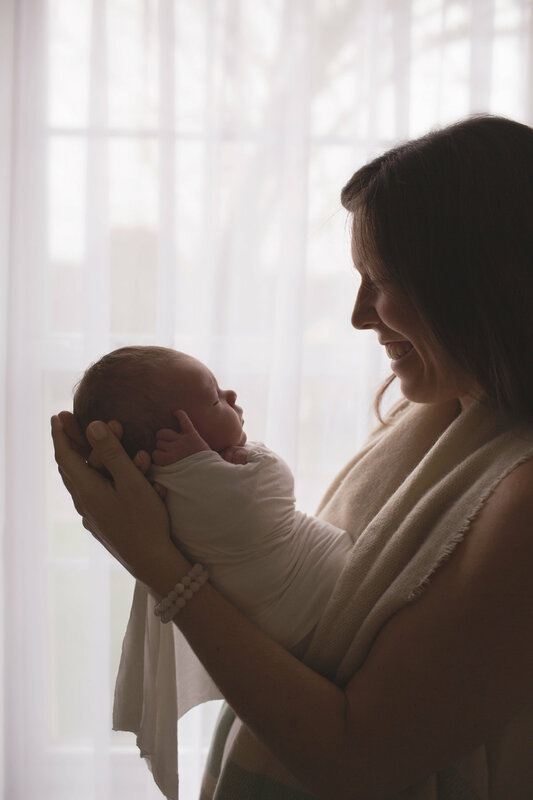 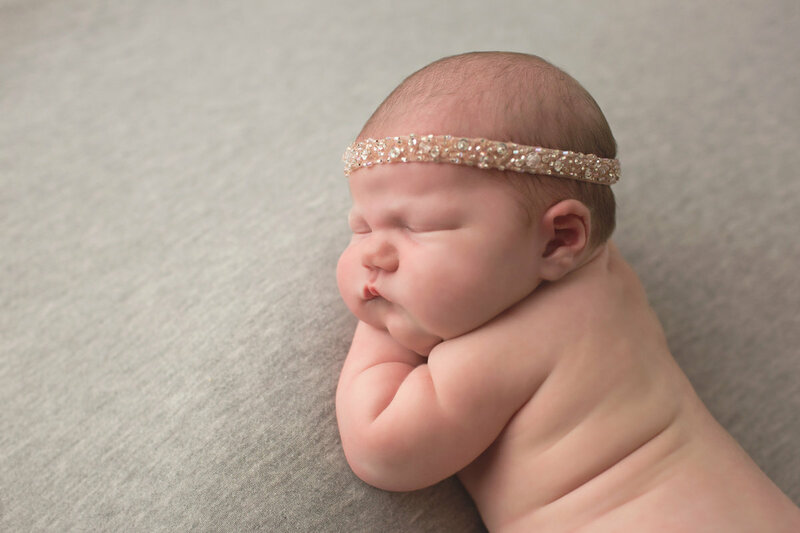 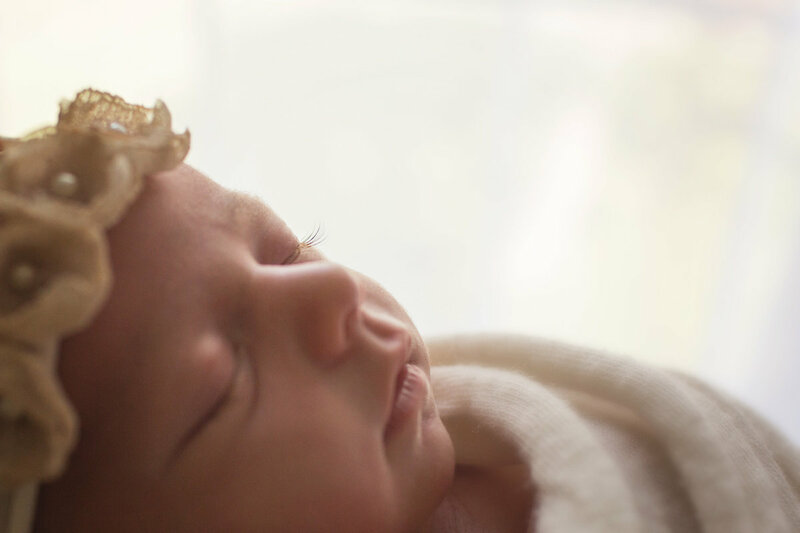 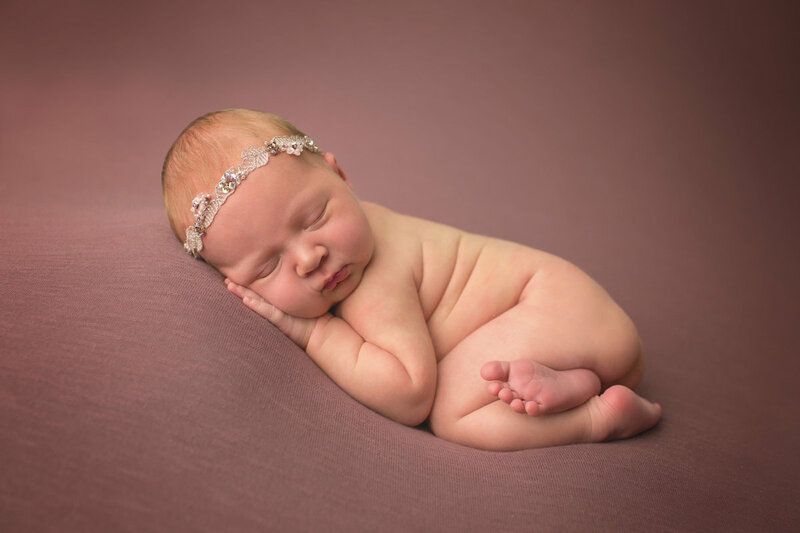 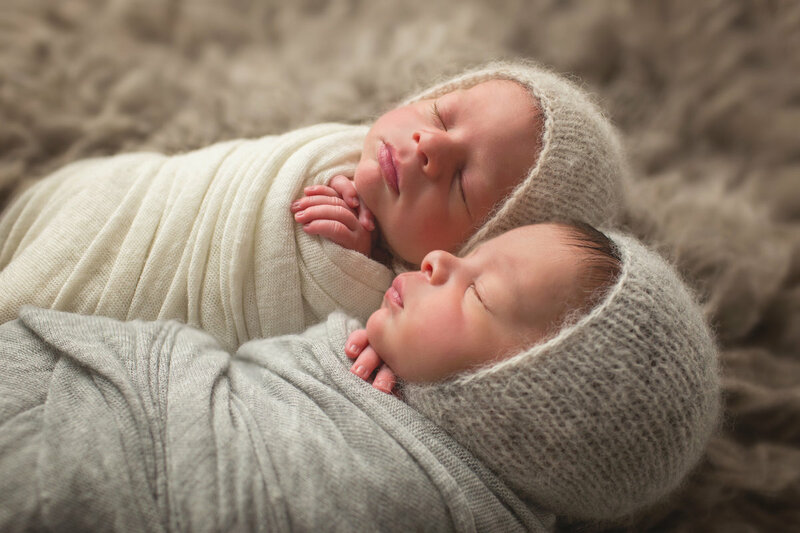 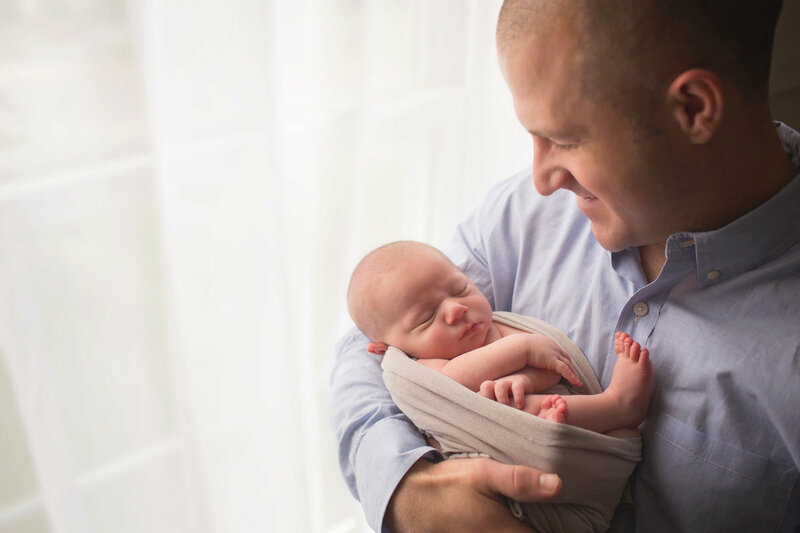 In my experience, these first 10 days are very important to get those sleepy images of your sweet bundle and to capture that special newborn squishiness! 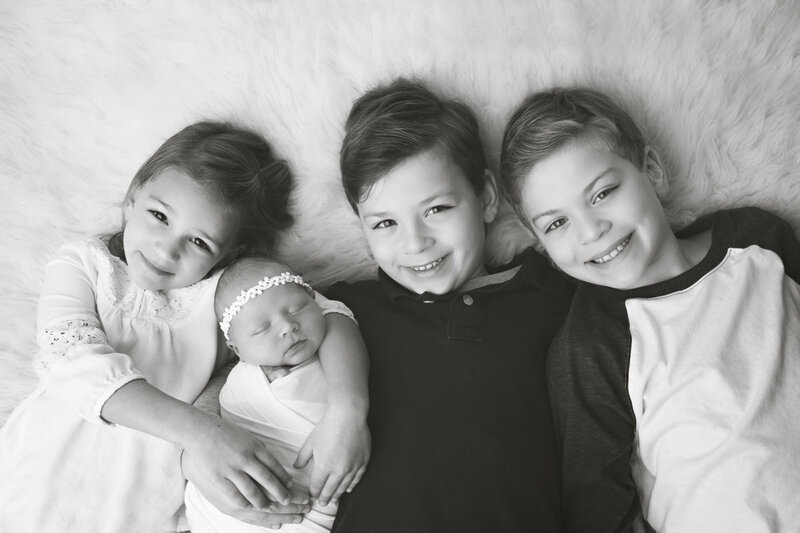 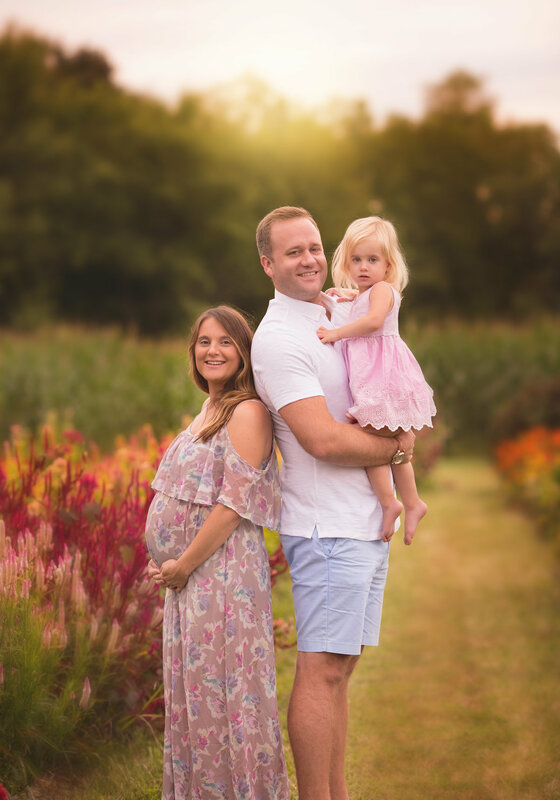 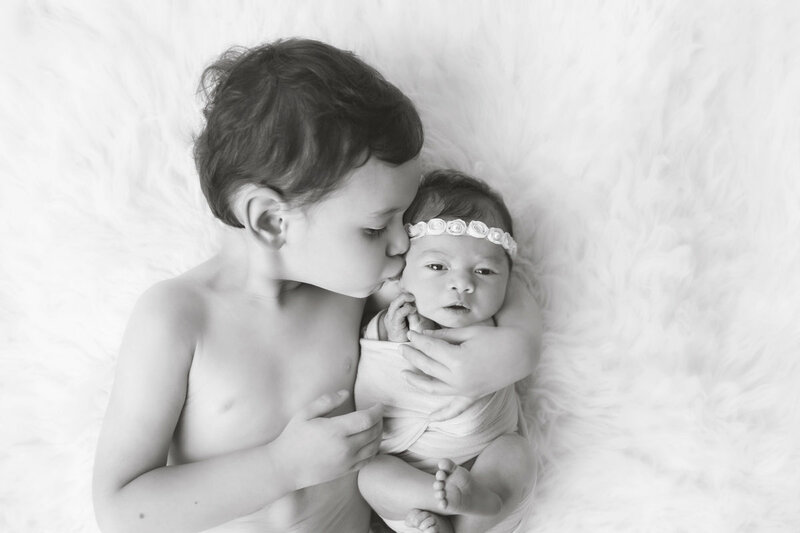 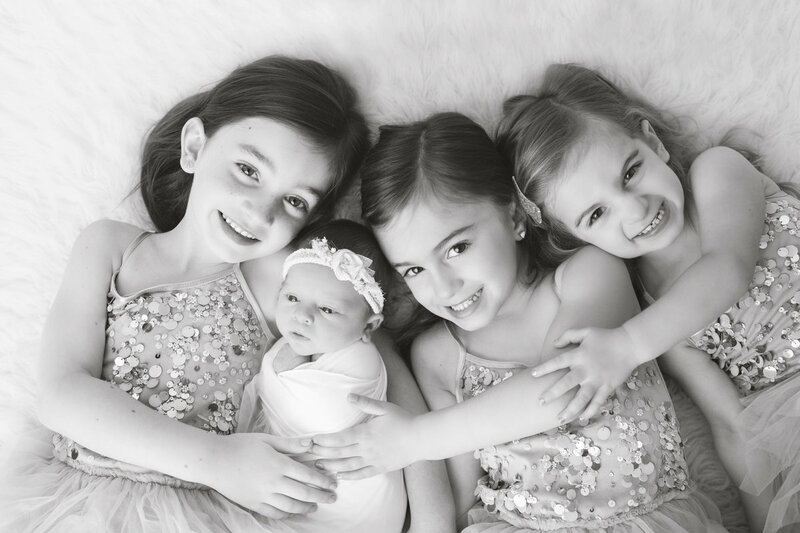 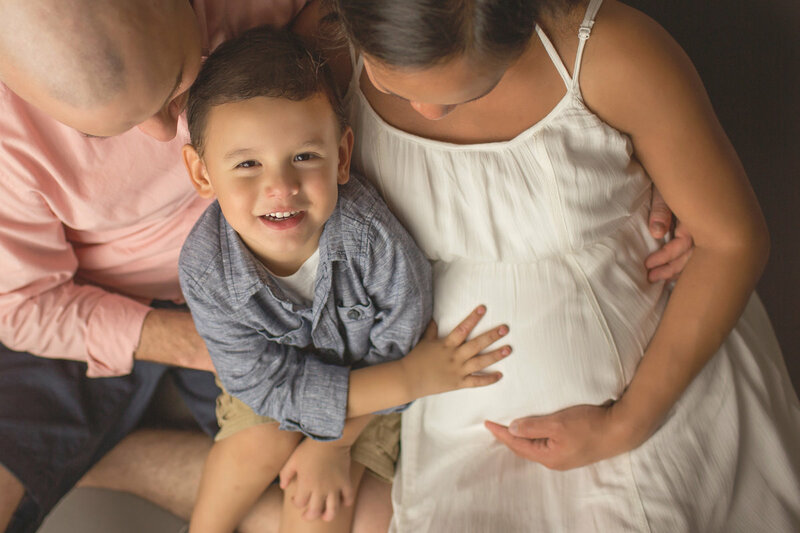 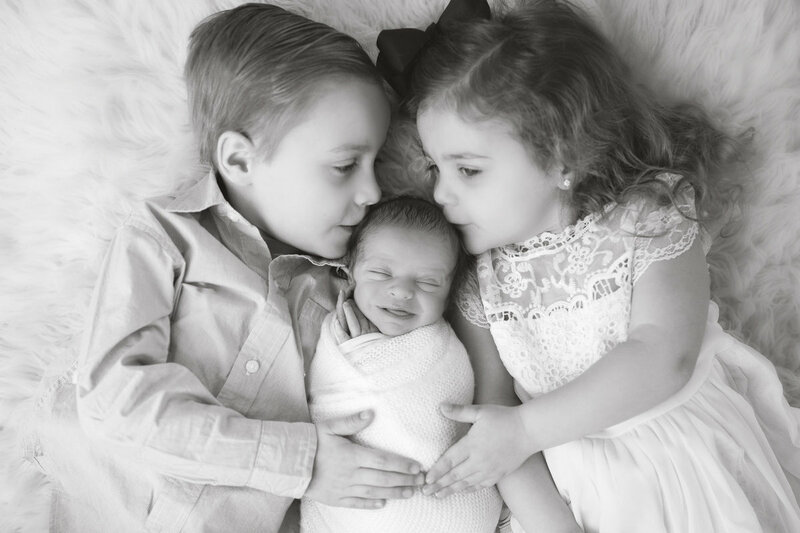 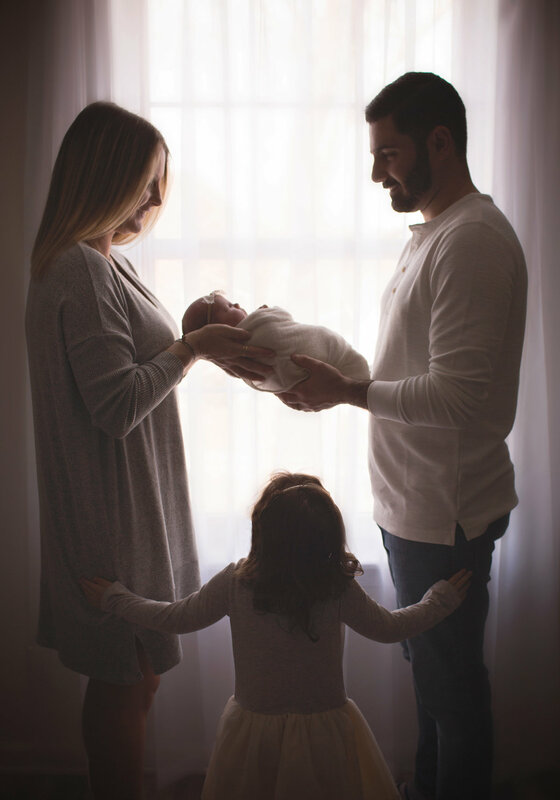 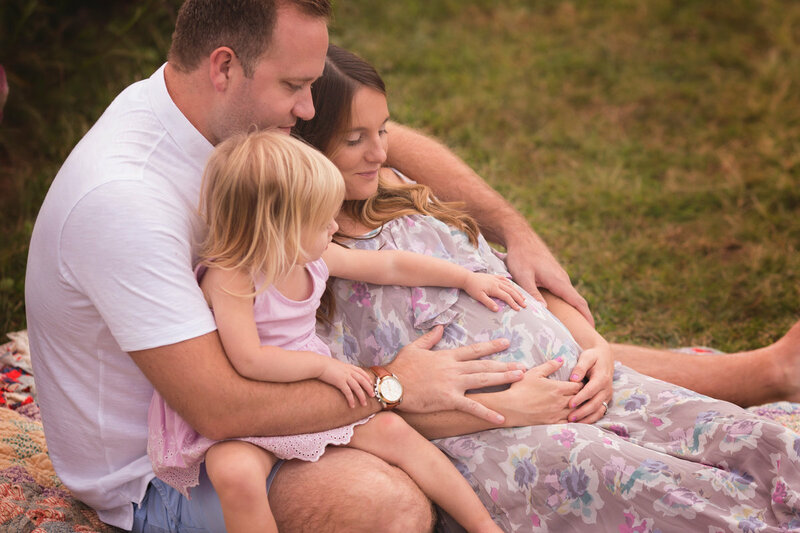 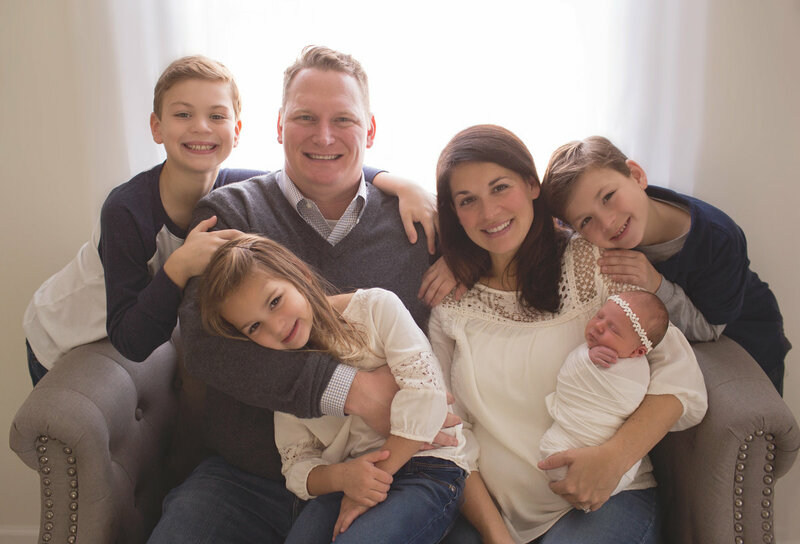 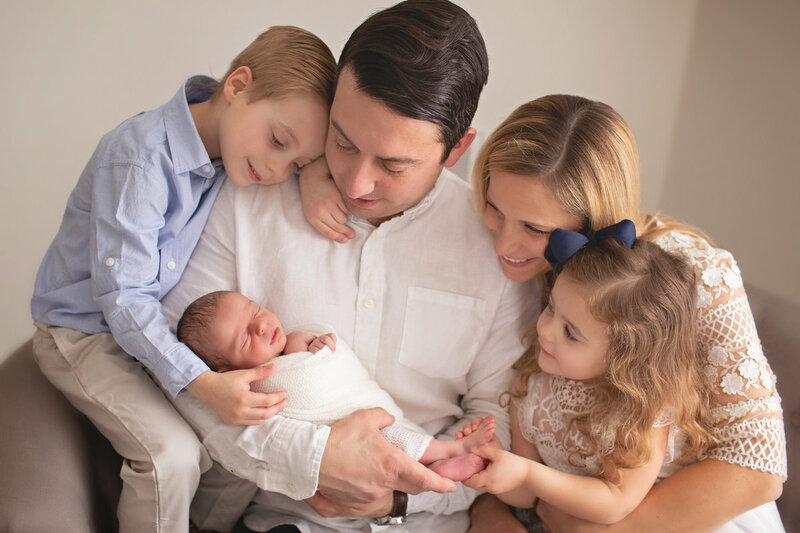 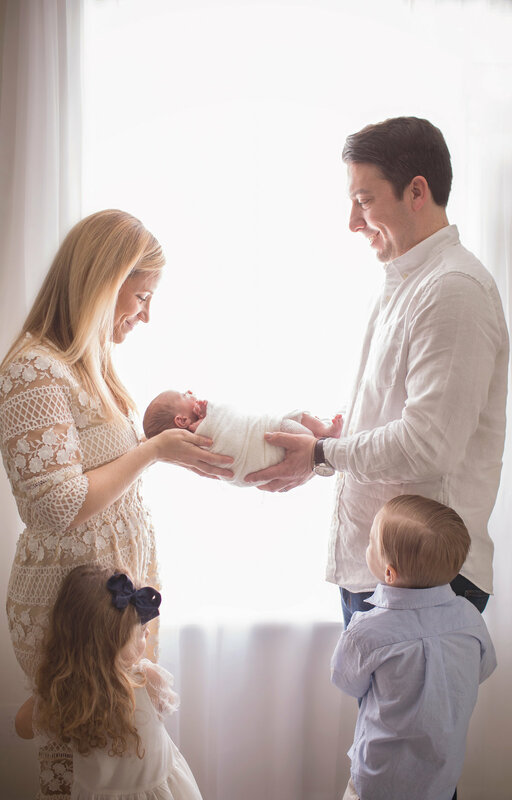 If you've purchased a newborn & family session I start with sibling and family shots and then move on to just baby. 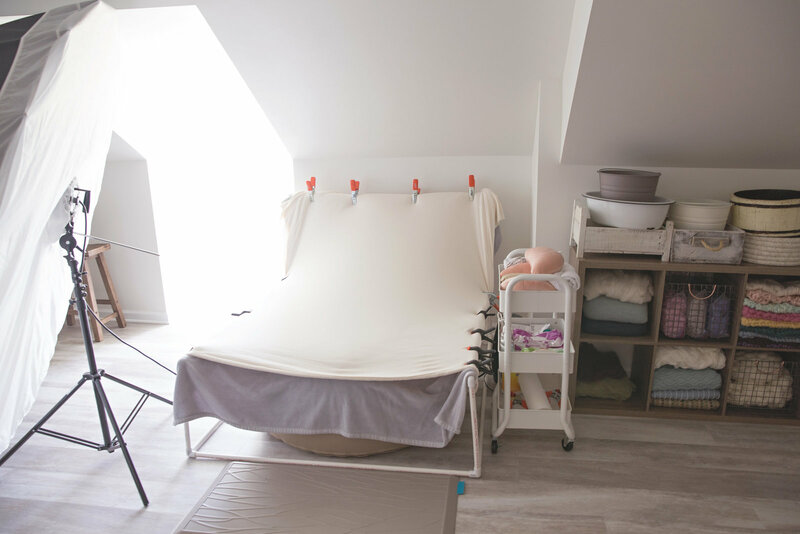 I structure it this way so parents and siblings can relax for the rest of the session. 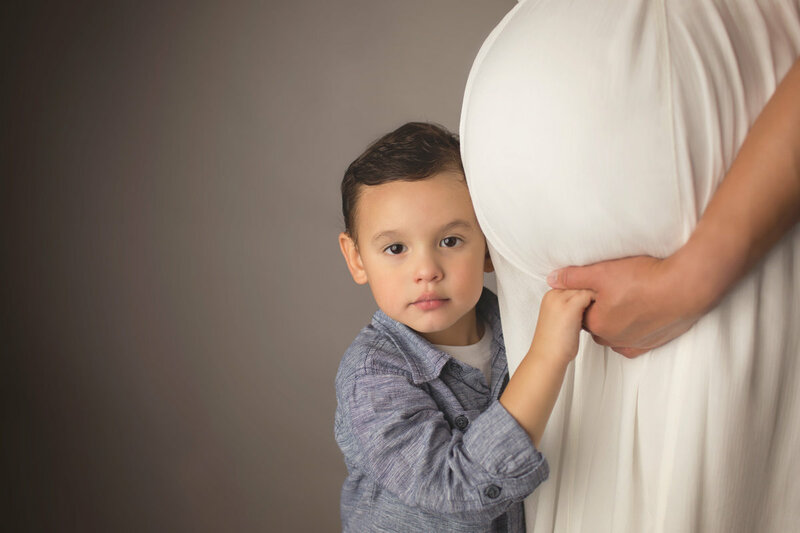 I also recommend you bring another parent or grandparent to the session to take older siblings out for some fun until baby is done. 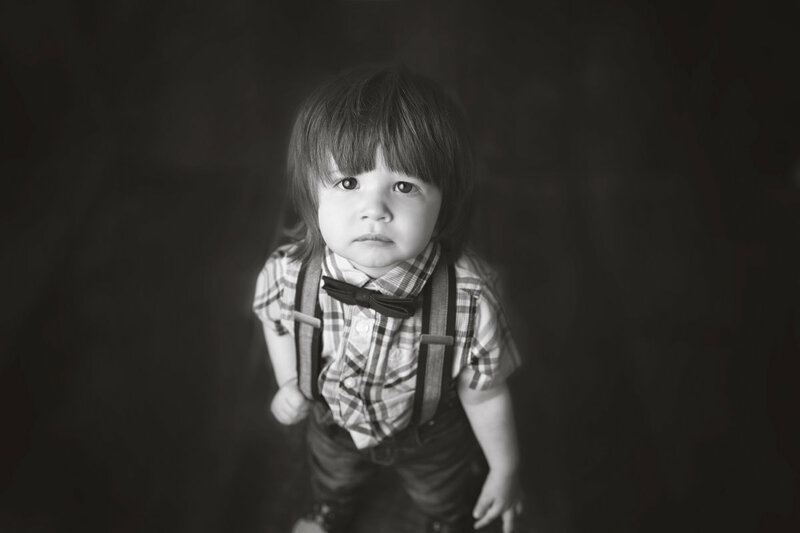 That way they don’t get bored waiting for the session to finish. 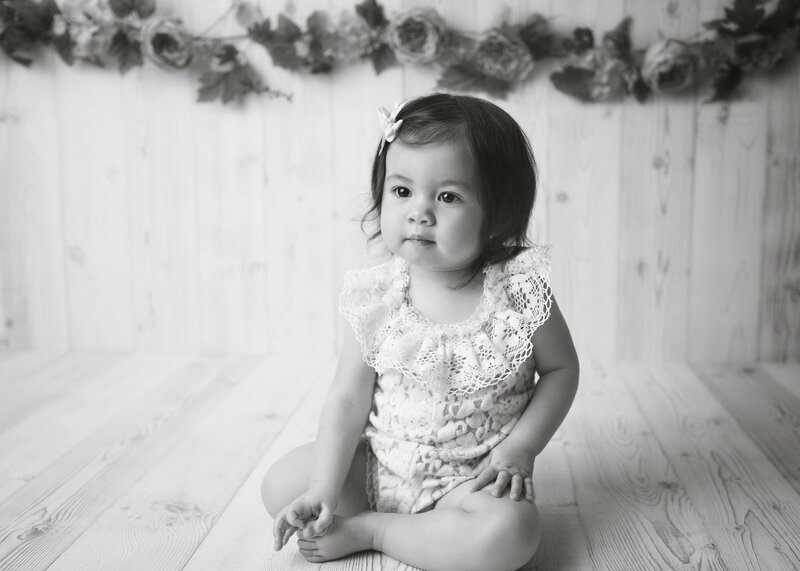 About three weeks after your photo session, you'll get to view and download your photos from your online gallery. 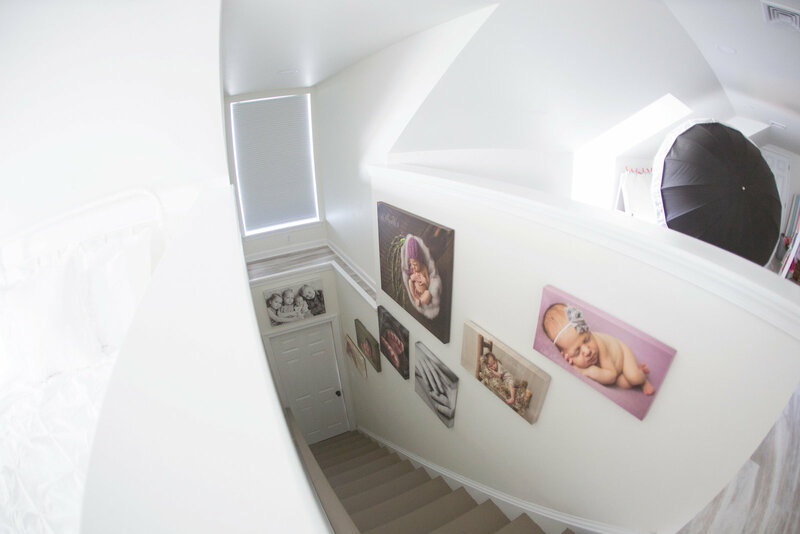 I'll provide an album proof for you to review and a few gallery wall ideas. 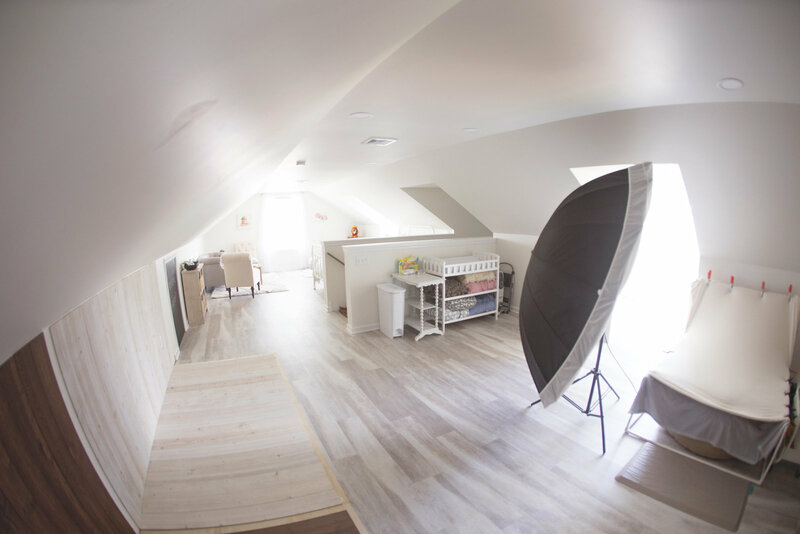 All of which can be further customized. 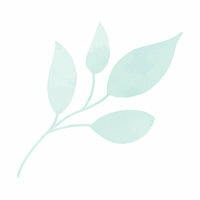 I love the product design process so I am here to provide that service for you. 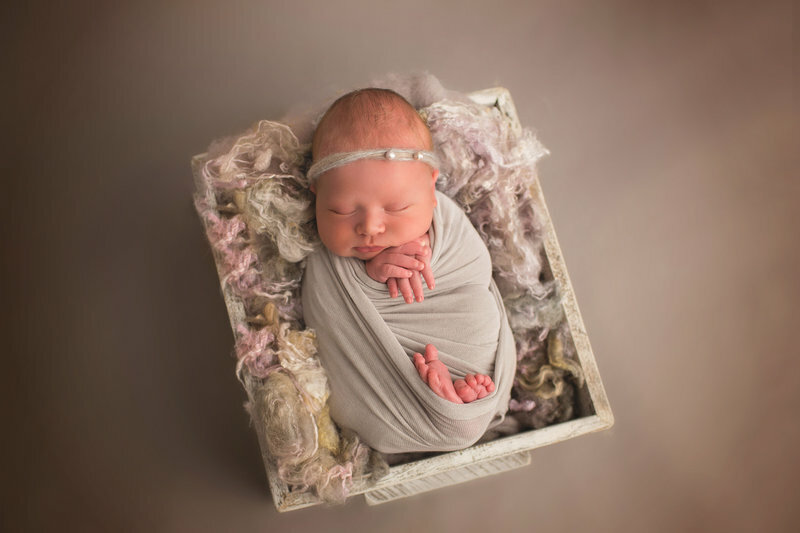 I try to keep things simple by offering only a few packages. 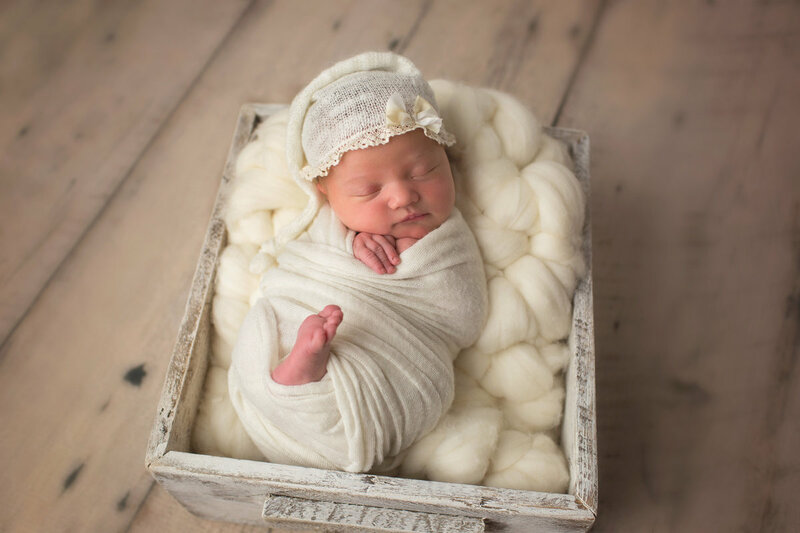 Newborn session investments begin at $1000 and my clients usually invest an additional $300-$1000 in heirloom quality prints and products. 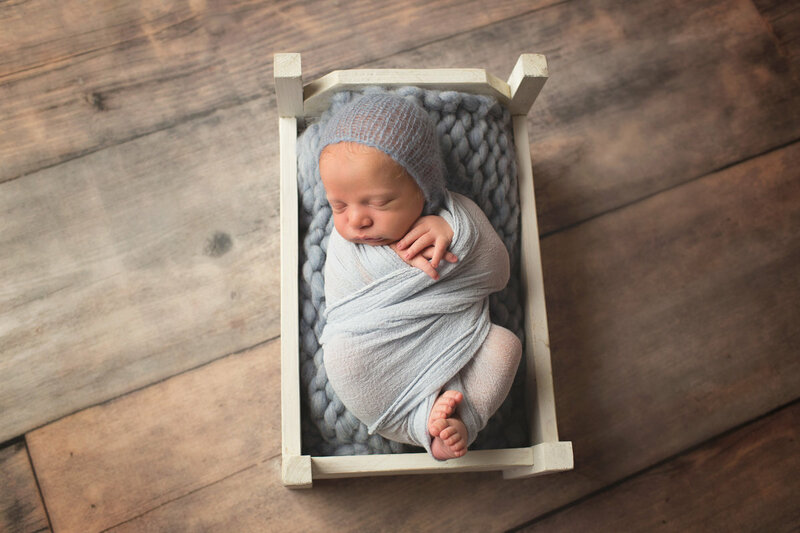 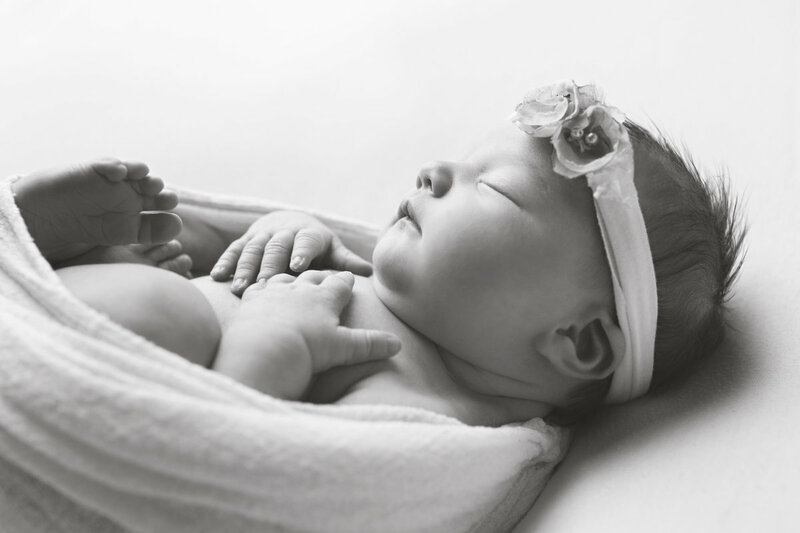 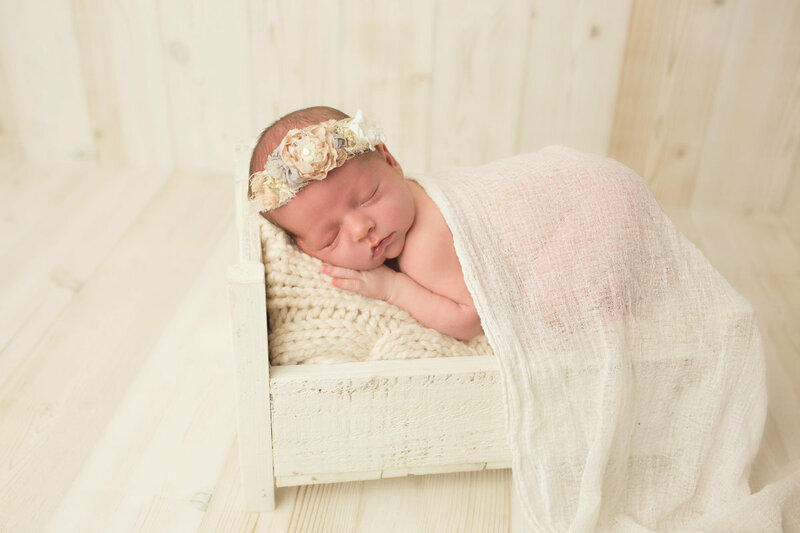 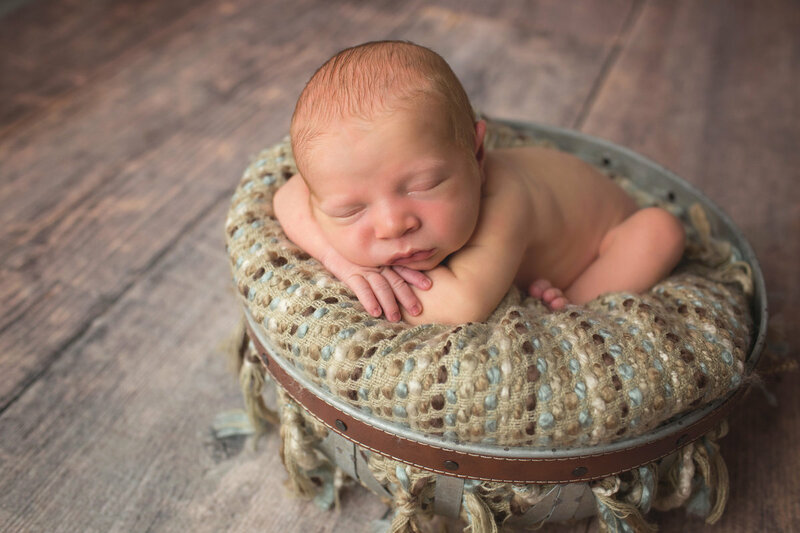 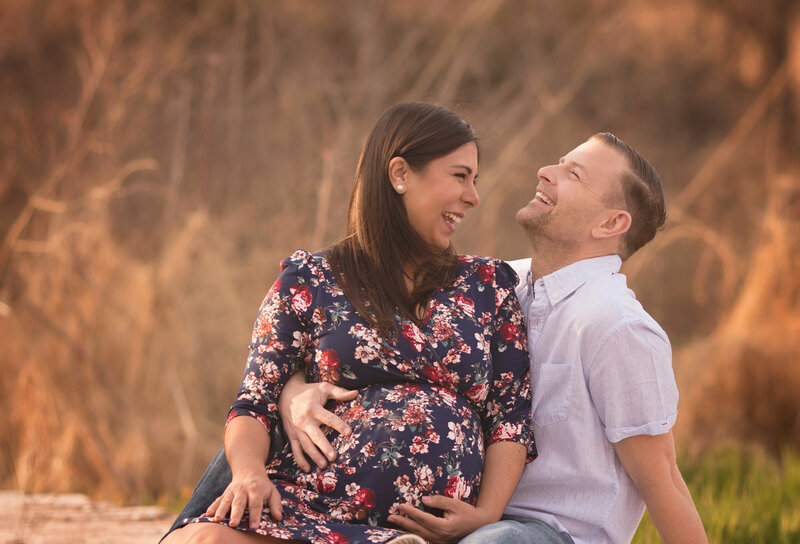 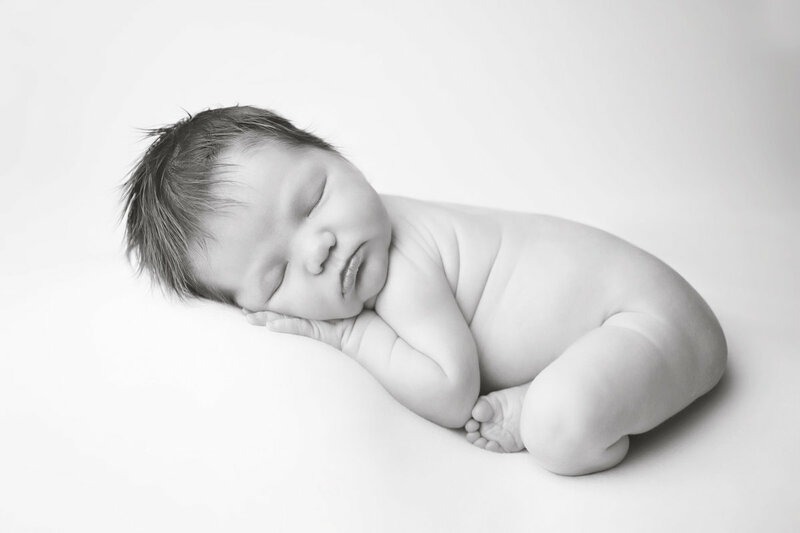 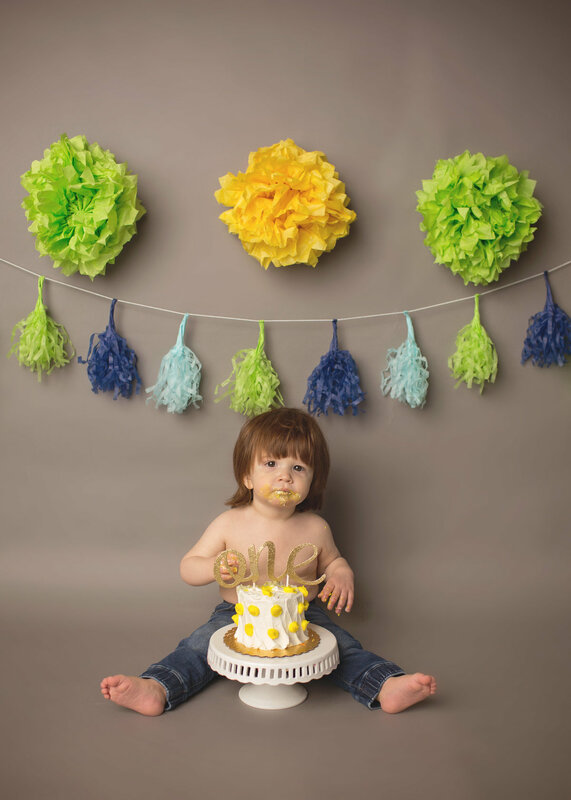 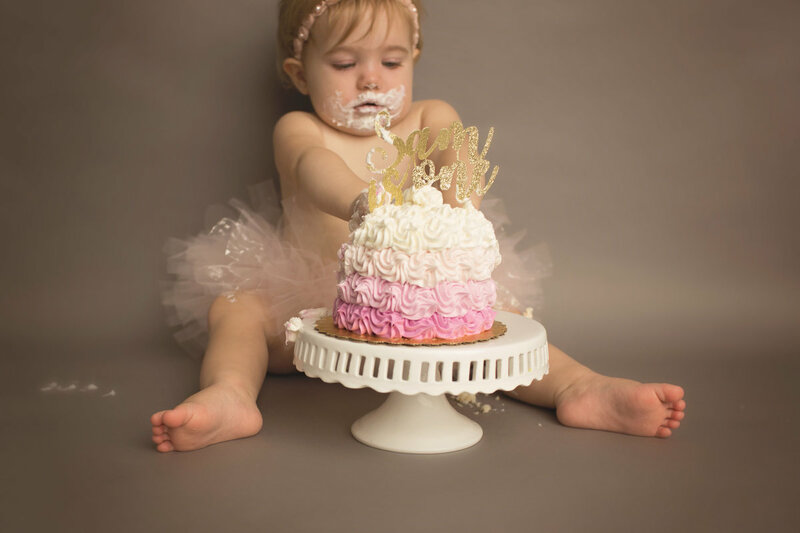 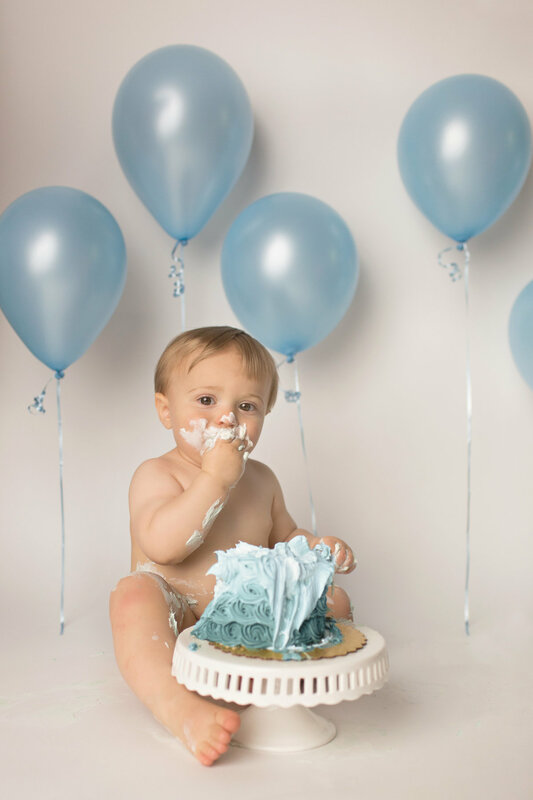 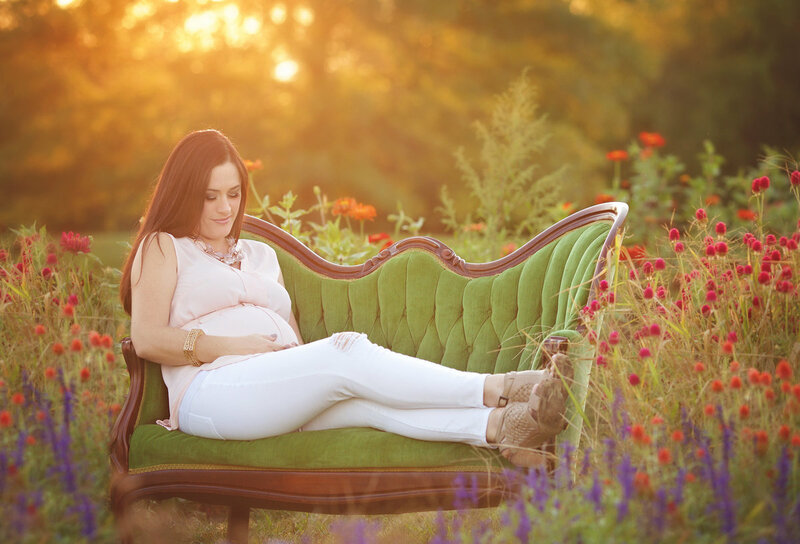 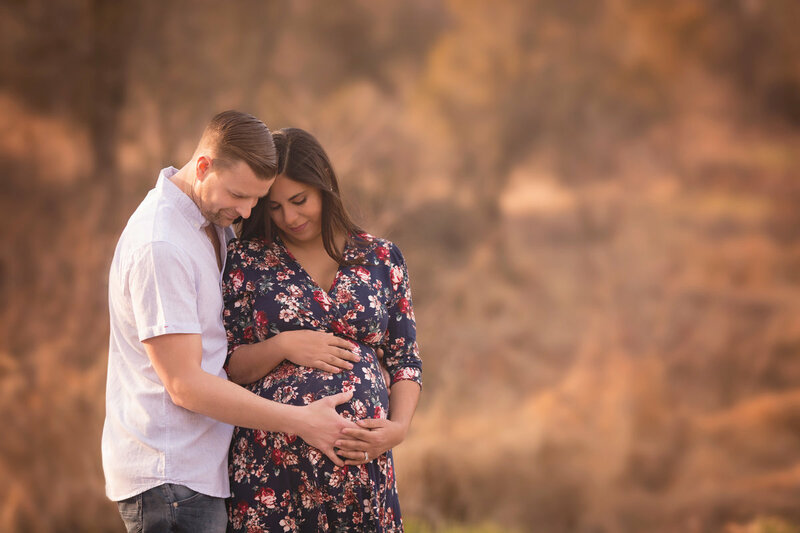 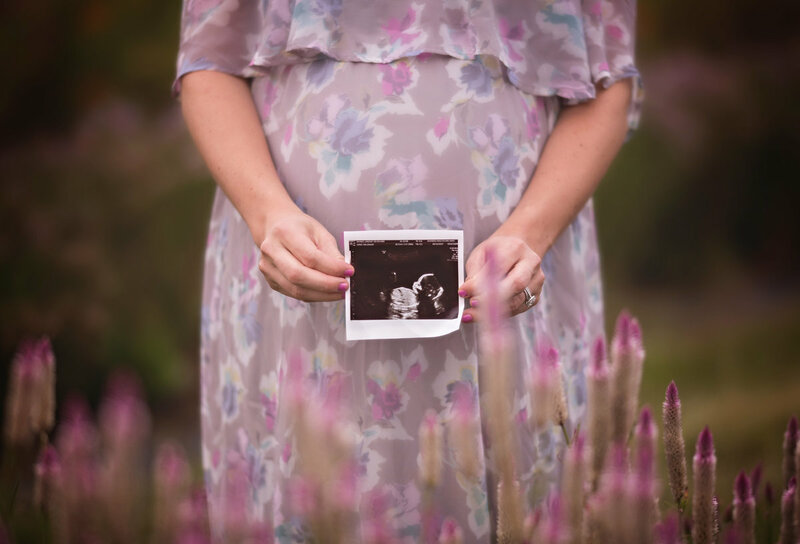 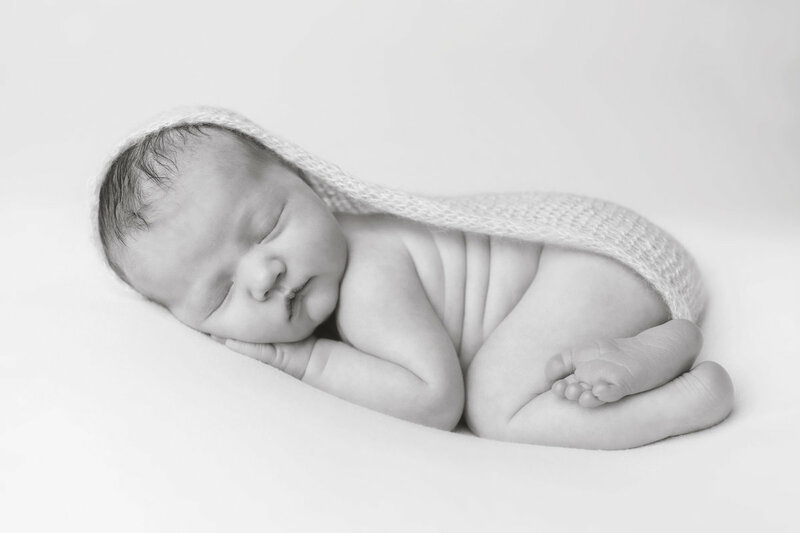 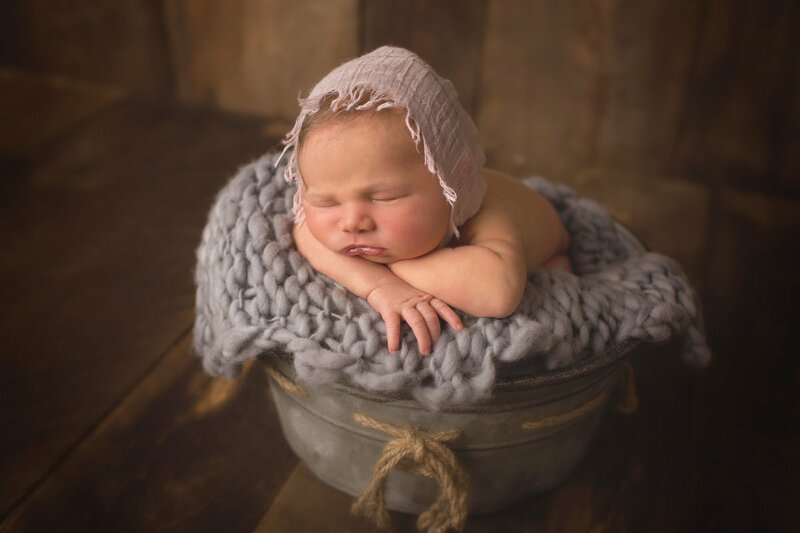 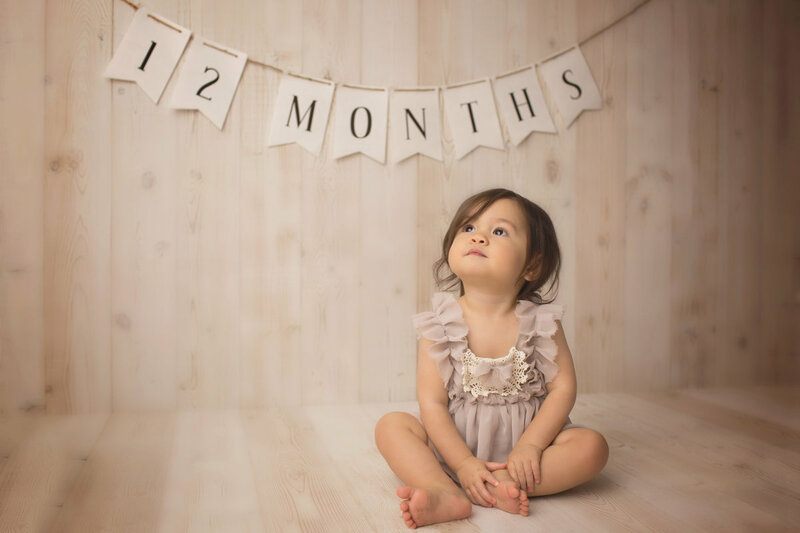 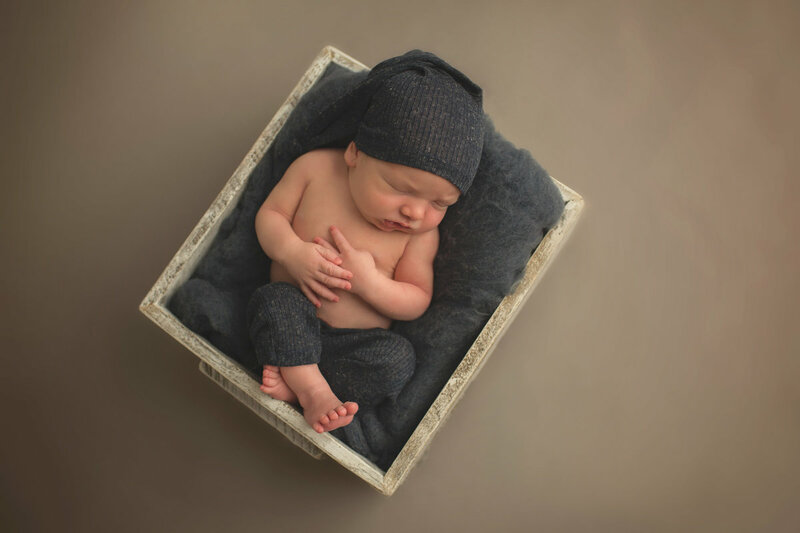 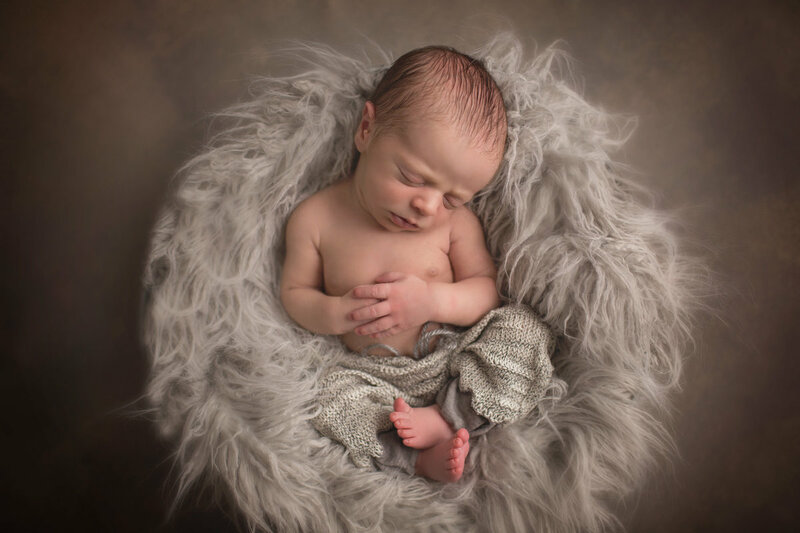 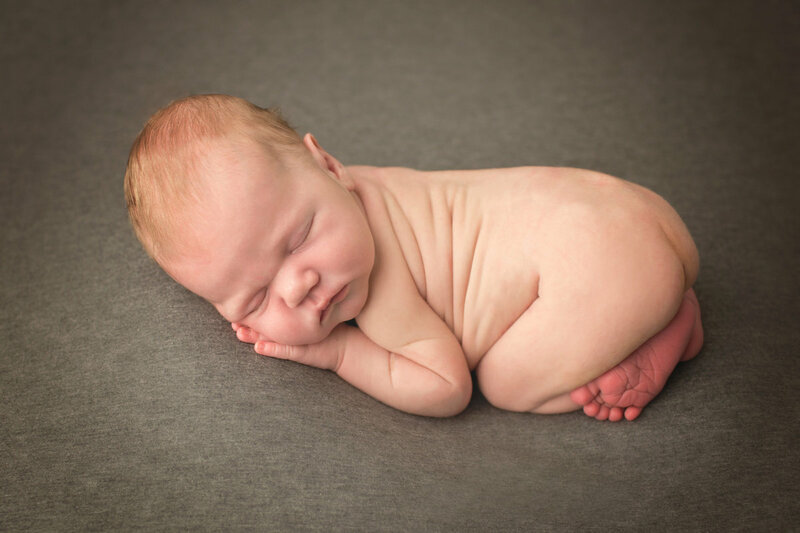 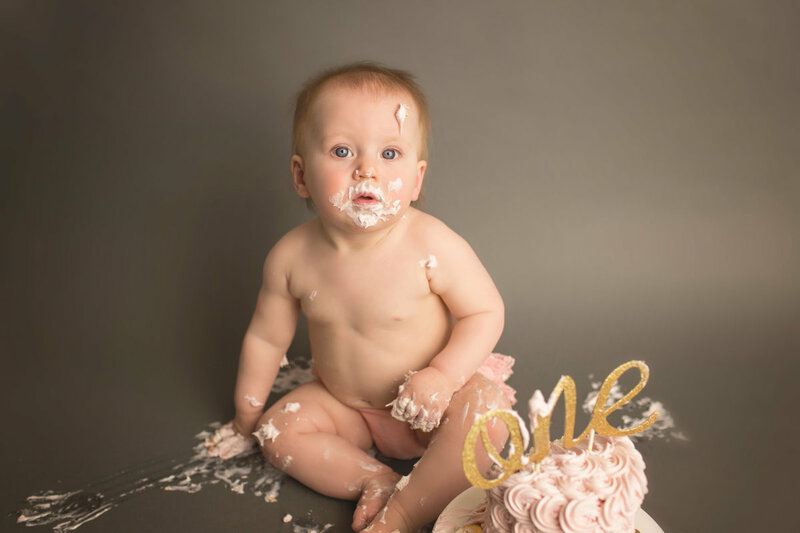 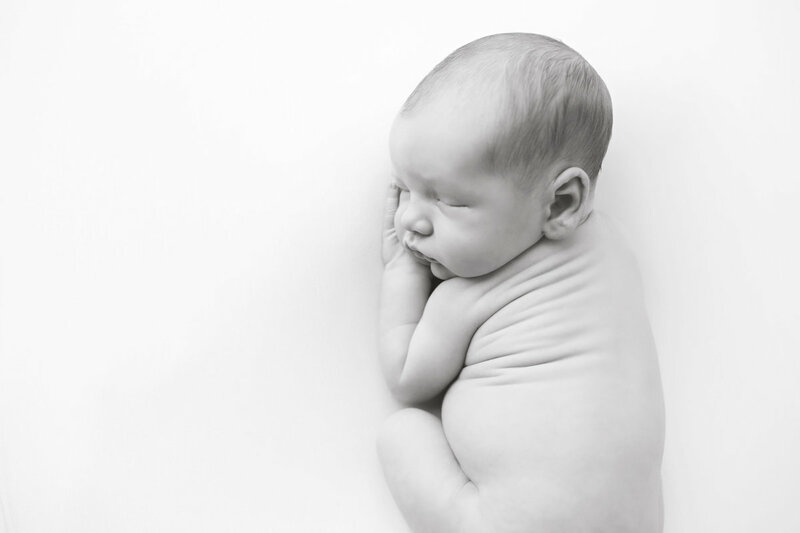 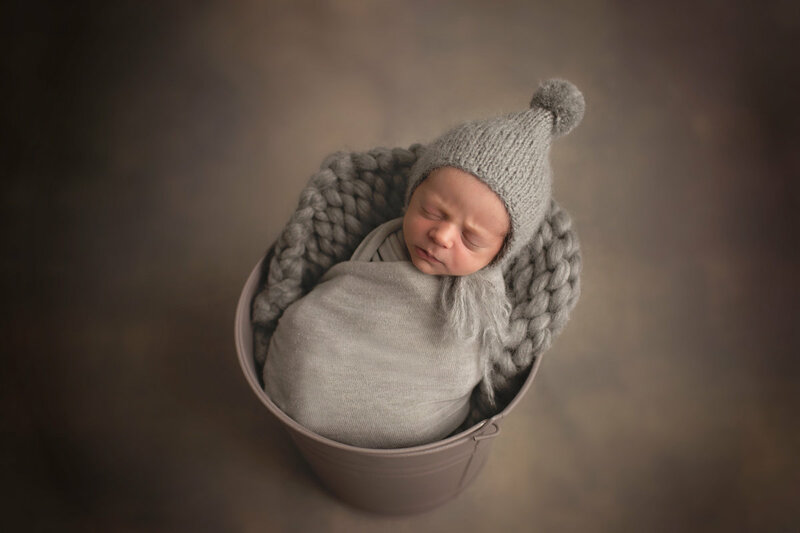 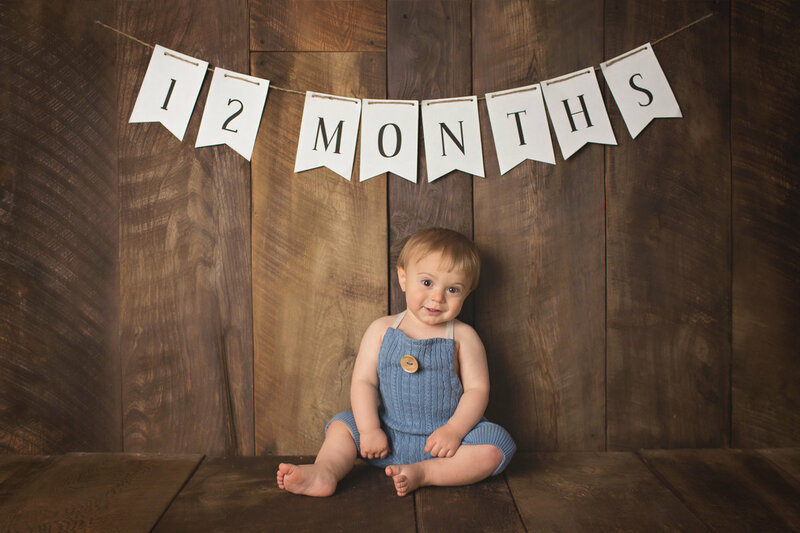 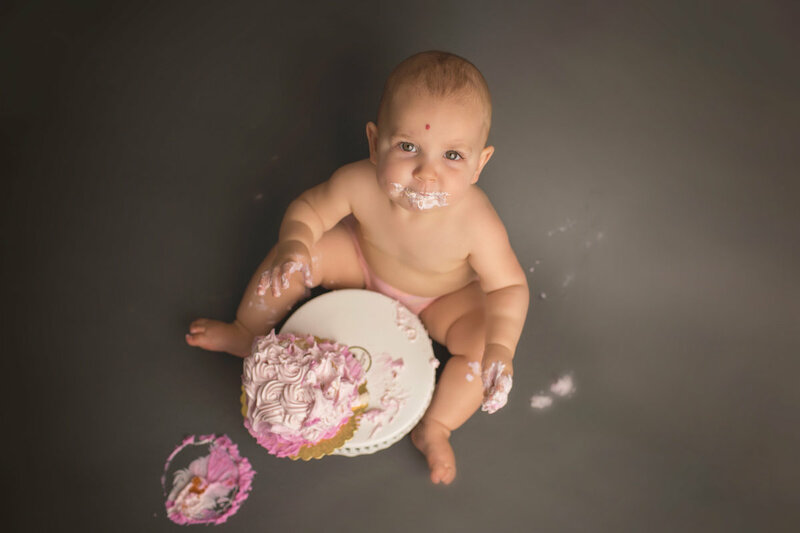 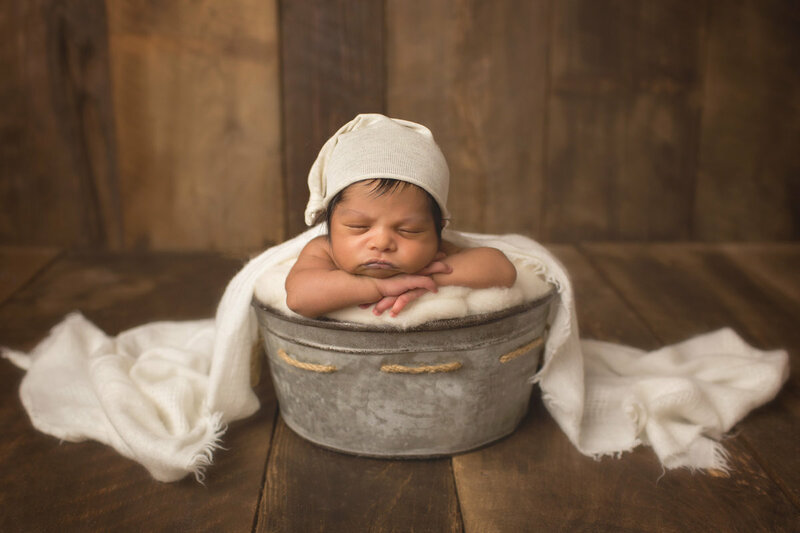 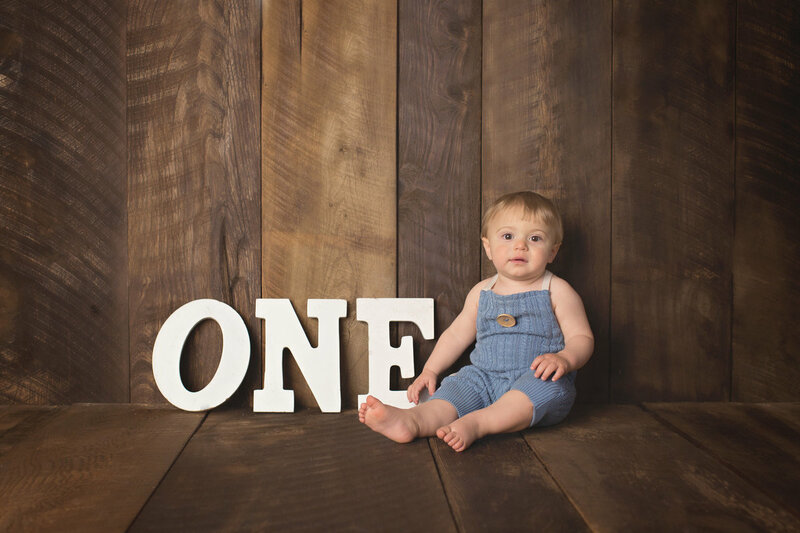 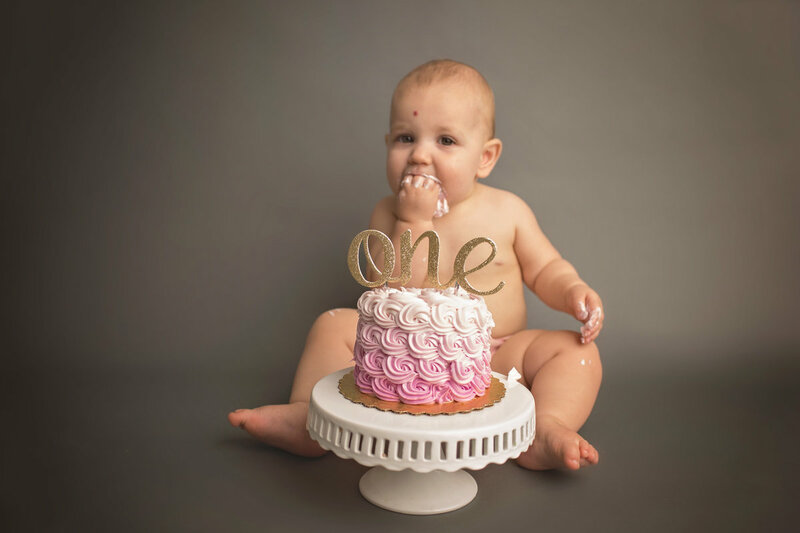 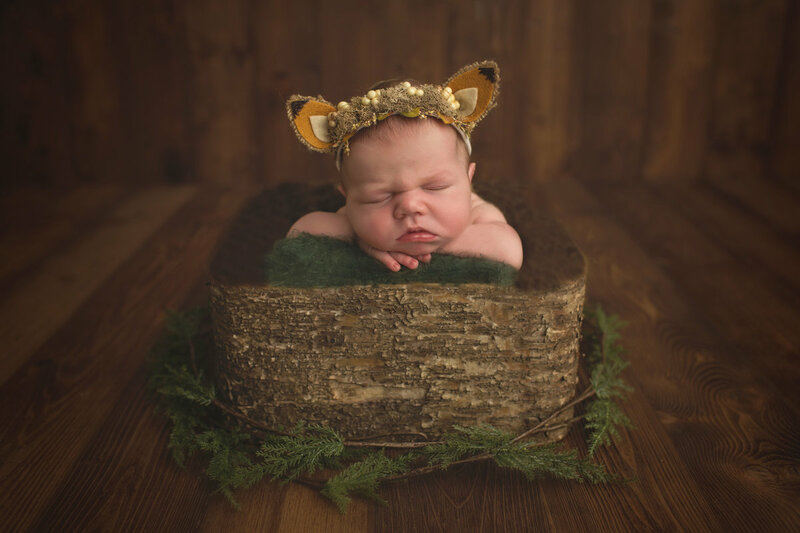 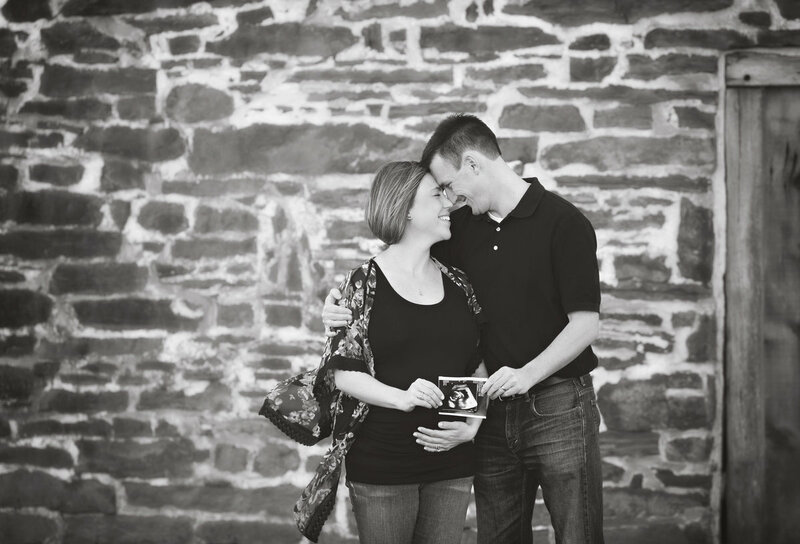 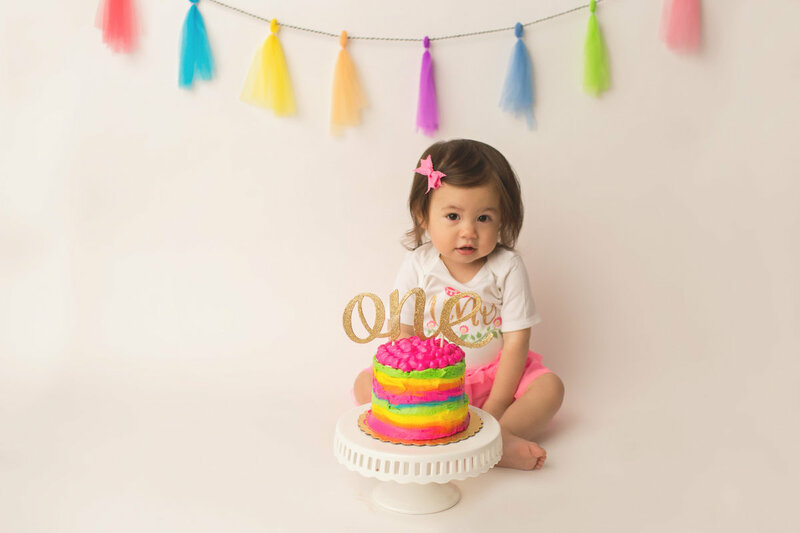 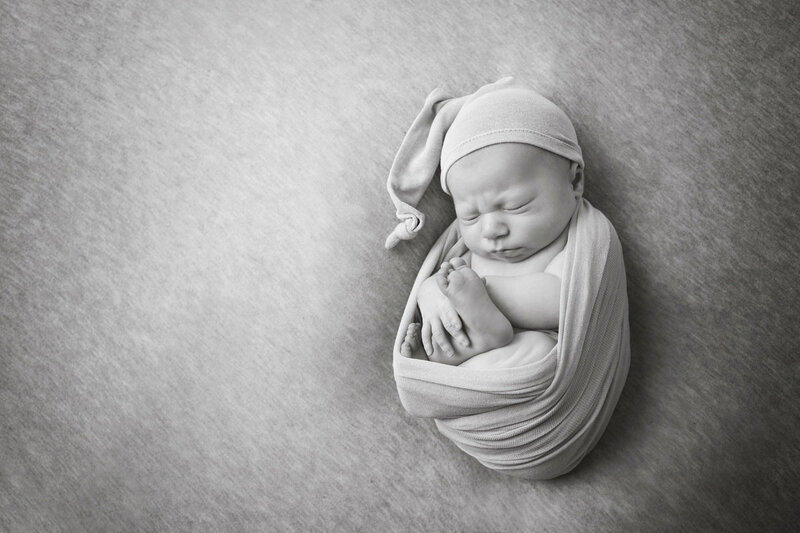 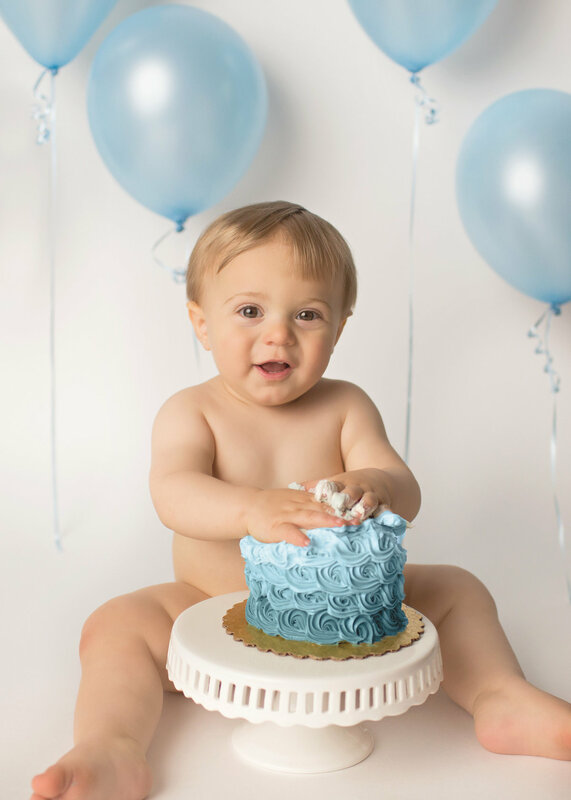 All newborn sessions include a digital package and a 10x10 album in a keepsake box with USB . 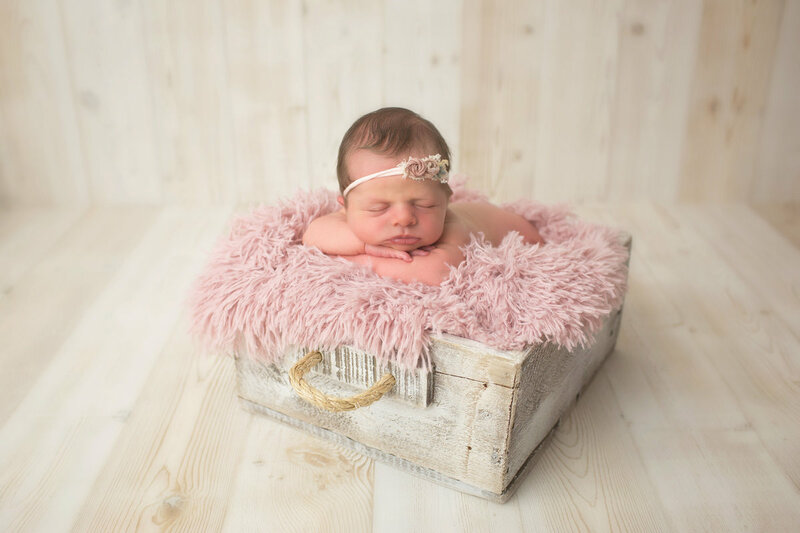 All newborn sessions include a digital package and a 10x10 album in a keepsake box with USB.